David W. Abbott died yesterday at Chelsea where he has been residing for some time. “Dave” as he was known to his many friends will be remembered as a son of Mr. William Abbott, and for a time in business with Mr. H. H. Wooton, the firm being Abbott and Wootton druggists, Sparks street. Mr. Abbott married Miss Meadows, daughter of School Trustee Meadows and she with one daughter of four years, mourn the loss of a devoted husband and father. Dave was only 31 years of age but he has been ill for some years and recently took a couple of trips to Colorado which resulted only in temporary benefit. He has been a member of the St. Hubert Gun club and Ottawa Rifle club. Very popular among his associates who will extend to the bereaved family their heartiest sympathy. ABELL - On Thursday, 22nd ult., at his residence 19 Grove St., Hamilton, in great peace, Daniel W. Abell, in the 45th year of his age. aged 31 years, 2 months. Obituary – MRS. IDA DAWLING ABRAMS – Mrs. Ida Dawling Abrams, wife of John J. Abrams, of Morven died at the residence of her step-father, Isaiah Abrams, Napanee, on Thursday, 3rd inst., of consumption. She was the only child of the late William Dowling, of Camden. Both she and her husband have been victims of consumption for some time and became too sick to take care of themselves months ago. They were both little past 30 years of age. The husband now lies at death’s door and is not expected to survive many weeks, even many days. ACKERMAN - Ethel May. At the Hotel Dieu Hospital, Kingston on Monday, August 20, 1979, Ethel May Robinson, Sandhurst. Beloved wife of Wilfred Ackerman, in her 84th year. Dear mother of Mrs. William E. Smith (Evelyn), Sandhurst and Harold, Sandhurst. Dear grandmother of four granddaughters and three great grandchildren. Resting at the Wartman Funeral Home, Napanee. Funeral service at the Conway United Church on Wednesday, August 22, at 2:00 p.m. Interment Sandhurst Cemetery. Friends desiring may contribute to the Heart Foundation or the Charity of your choice. Family received friends, Tuesday at 2:30 to 4:30 and 7-9 p.m.
DIED - At her residence, near the East Lake, in the Township of Hallowell, on Friday, April the 8th, Mrs. Hannah Ackerman, wife of Mr. Garret H. Ackerman, in the forty-first year of her age. Ninety-three-year-old Wilfred Ackerman resident of the Quinte Beach Nursing Home died on August 25, 1990 at the Lennox and Addington County General Hospital. Born in Havelock, he was the son of Jennie Spencer and George Ackerman. A resident of the area for 70 years, Wilfred was a farmer and a buyer of grains, clover and grass seeds. A member of the Conway United Church, he was an elder for many years. He is survived by children Evelyn Smith, Harold and wife Mertie Jean, granddaughters Shirley Vanleeuwen, Diane Patterson, Lois Munroe, Sharon Parks, 10 great-grandchildren and sister Alma Wallace. Services were held from the Wartman Funeral Home to Conway United Church with Rev. Norm Esdon officiating. Pallbearers were John Vanleeuwen, Jay Vanleeuwen, John Patterson, David Munroe, David Parks and Dennis Rowe. Interment was at the McDowell Cemetery in Sandhurst. ADA, Winnifred Joyce, (RN) - At peace, in Memorial Hospital, Greenville, South Caroline, May 19 1981, Winnifred Ada, beloved daughter of the late Reverend and Mrs. J. R. Trumpour, dear mother of John, San Francisco; and Ronald, Seattle; much loved sister of Mrs. D. Hough (Jean), Napanee; Kenneth, Orangeville; and the late John Grenfell. Memorial Service at Greenville General Hospital on Friday May 22. DIED - At his own House, in Marysburgh, on the 24th of October, last, ELIPHALET ADAMS, an honest, worthy man, and a useful member of Society, beloved by his family and friends and respected by a numerous circle of acquaintances. He has left a Widow and Five Children to deplore his sudden death. Sydenham, April 18. - The remains of the late Miss Edythe Akroyd, who died in Alberta last fall, were brought home for burial, arriving Sunday afternoon last. A large number of relatives and friends awaited their arrival at the cemetery to pay their last respects to one they knew and loved so well in life. Alcombrack - At South Fredericksburgh, Nov. 24th, 1898, Cynthia Alcombrack, aged 83 years. NEWBURG - Rev. Canon R. W. Spencer conducted the funeral of the late Mrs. Joseph Alcombrack which was held from her late residence to St. John’s Church and after the service the cortege proceeded to St. Luke’s Cemetery in Camden East where the interment was made. The church was filled with relatives and friends and there were several floral tributes. The death of Mrs. Alcombrack was learned with sincere regret by her many friends throughout the village and district. Though in poor health from some time, she had not been confined to her bed, and her death came as a great shock to the relatives and wide circle of friends. Mrs. Alcombrack before her marriage was Miss Helen Slade, a daughter of Capt. Slade, now residing in Montreal, and the late Mrs. Slade. Before her marriage she was a nurse and graduated at the Kingston General Hospital. She was exceptionally well-known and was held in very high esteem. She was a faithful member of St. John’s Anglican church in Newburg. Besides her husband she leaves a daughter, Miss Lorraine, nurse-in-training at the Kingston General Hospital, a son James at home, her father, Capt. Slade of Montreal, a sister, Mrs. Jones of Toronto, and a brother, James Slade, residing in the United States. A sister Gladys passed away a few years ago. The pall-bearers were intimate friends of the family. Among those present were Miss Mitchell, night supervisor at the Kingston General Hospital, who was accompanied by three nurses. OBITUARY - MRS. ALCOMBRACK - On the 11th inst., in Toronto, after two days of illness, Mrs. Wm. M. Alcombrack passed to the Home beyond. Mrs. Alcombrack will be remembered by many as Lydia Jane, daughter of Israel and Jane Stewart. She was married in 1876 to Wm. M. Alcombrack, of South Fredericksburgh, where they resided till four years ago, when they removed to Toronto, and recently built a fine home on Havelock St. For six years past, Mrs. Alcombrack has been confined to the house, only leaving it when taken in a wheel chair, but in spite of her invalidism, she was in every sense the mother of the home. Affectionate, thoughtful, interested in everything, and looked up to by all the family for advice and guidance. She was a true Christian and brought up her nine children in the faith in which she lived, and in the triumph of which she died. Her husband, six sons and two daughters survive, one son having died two years ago. Her remains were laid to rest in Mount Pleasant cemetery, the funeral services being performed by Rev. C.O. Johnston, of Wesley Methodist Church, in the midst of many sorrowing friends and neighbors. Mr. Israel Stewart preceded his daughter in death by just three days. (**Written in - April 1906**). ALCOMBRACK - In South Fredericksburgh on Oct. 7, Maurice S., son of Mr. J.G. Alcombrack, aged 2 years, 1 month. Alcombrack - On Oct 5th, Philip Alcombrack, Hawley, aged 92 years. AN OLD RESIDENT GONE - Word was received Tuesday of the death at Toronto Jan. 5 of Mrs. Alcombrack, widow of the late Philip Alcombrack, of Hawley. Deceased was well known in these parts, having lived all her life at Hamburg, there rearing her family of five sons and one daughter. Deceased was aged 81 years and for the past three years has resided with her daughter, Mrs. Sills, at Toronto. The sons are Warner, in Kentucky, Wm. and Leonard, in Toronto, John at Cataraqui, and Jacob, at Hamburg and only daughter, Lancy, Mrs Sills, with whom she spent her declining years and who tenderly cared for her in her last illness - pneumonia - which was the cause of her death. Mrs. Alcombrack passed peacefully and beautifully away, conscious up to the last, and exclaiming, "I am on the Rock." Three sons and three grandsons acted as pall bearers. The remains were placed in a vault in Toronto, until spring, when they will be taken to the family plot at Morven. Death of Mrs. Alexander - The home of Philip Alexander, 111 Brock Street is saddened by the loss of his helpmate, whose death occurred early this morning, at the age of sixty-eight years. The deceased suffered for some time of bronchitis, leading to general debility. The late Mrs. Alexander, whose maiden name was Hannah Perry, was born in Cheshire, England, in 1833. In 1856 she married Philip Alexander, shortly afterwards coming to Canada and settling in South Fredericksburgh, later on taking up residence in Portsmouth, and about ten years ago becoming a resident of Kingston. She was a person of many amiable qualities and greatly beloved. Died - In Kingston, on Jan 15th, at 111 Brock St., Hannah, beloved wife of Philip Alexander, aged 68 years. Funeral private. ARDEN, AUG 22 - On Saturday Aug. 17th, there passed away at his home, a life long resident in the person of Samuel Alexander aged 85 years after a lingering illness. The deceased in his younger years was foreman for the Rathbun co. and was employed by that company for a great many years. He was trustee of the Arden School Board for a number of years, and some years ago was elected as councillor for the Township of Kennebec. Of late years he has been a successful farmer. He was a good neighbour and a kind father and will be greatly missed in this locality. Besides his wife he leaves to mourn five sons and four daughters, namely, Harry, James, Clark of Arden, Ross of Saskatoon, Fred, Queen’s University, Kingston, Mrs. Fitchet, Toronto, Mrs Donnelly, Mrs. F. Martin, Tweed, Mrs McCutcheon, Burkton, who have the sympathy of the whole community in their bereavement. The funeral sermon was preached in the United Church with which he was connected and was preached by the Rev. Mr. Paton assisted by the Rev. Mr. Redding of St. Paul’s Church. The church was filled to its utmost capacity. The flowers were lovely and given by many friends and neighbors. The pall bearers were L. D. Parks, N. Babcock, C. N. Greene, George Hughes, F. L. Wormwith, Thomas Hughes. The friends and neighbors of Mrs. John B. Alkenbrack were shocked to hear of her death on the evening of August 27th, 1941. She was in her seventy-ninth year. She had been in failing health for the last few years but was taken critically ill just a few hours before her passing. The late Mrs. Alkenbrack before her marriage was Edith Alma Edgar a daughter of the late Ferdinand Edgar and Margaret McCabe. the early years of her life were spent in the vicinity of Hay Bay. When about eighteen year of age, she moved with her parents to Camden East. On the 5th day of September 1883 she was united in marriage to John B. Alkenbrack. Her husband predeceased her nearly nineteen years ago. She was a member of Camden East United church, a life member of the W.M.S. having served as secretary since the society was organized until just a few years back, when her health would not permit her to attend regularly. She leaves to mourn her loss three sons, Archie Alkenbrack, Camden East, William Alkenbrack of Napanee and Perry Alkenbrack, with whom she resided. One son, Ibri, paid the supreme sacrifice in the last Great War of 1914-18. She also leaves several grandchildren and a number of great-grandchildren. Two brothers and one sister survive, (Emma) Mrs. Alex Howel of Eden, Cyrus Edgar, Yarker, William Edgar, Toronto. Two sisters and one brother predeceased her, (Effie), Mrs. Albert Salsbury, (Addie), the late Mrs. Tom Hamilton, and the late Columbus Edgar. The funeral was conducted by her pastor, Rev. W.G. Fletcher at Camden East United Church. It was largely attended. The floral tributes were many. Interment took place at Moscow cemetery, beside her late husband. The app-bearers were Messrs. Joe Lewis, Bert Martin, Harry Robinson, Jim Hamilton, John Beattie, Blake Allen. MRS. M. ALLARD nee RACIOT - It is my painful duty to record in the columns of the Faithful Messenger the death of another of our well beloved sisters, Mrs. M. Allard, eldest daughter of Mr. Pierre Raciot and Rose Robitaille, his wife, was born at St. Pie, in 1845; she was therefore forty-one years of age when removed by death. Miss Raciot was still young when her parents accepted the gospel. Owing to this circumstance she early had the advantage of a knowledge of her Saviour and became a zealous member of our French Methodist Church. At 23 our sister was married to Mr. Marcel Allard, then a zealous Romanist, but the piety and love of the young wife overcame the prejudices of her husband, who some years after rejected the errors of Romanism to accept salvation in Jesus Christ. Mrs. Allard’s health was much impaired for some years, her sufferings were sometimes very severe, and it was not without concern that she saw her end approaching. She hoped that God would spare her to bring up her children, but when convinced that he had otherwise determined, she submitted without murmuring to his holy will. Shortly before her death our sister had a long conversation with her aged mother and her family, in which she expressed an ardent desire that her children might give their hearts to God, so as to meet her above, and that she might say, in the words of the prophet, “Here am I and the children which God hath given me.” Convinced that God would care for hers, she peacefully fell asleep on the 26th of May last, surrounded by her husband, her family , and sorrowing friends. May her happy death be the means of the conversion of many, and of her children. They will feel that she whom we now mourn has only gone before to the glory of the Father where she awaits them. 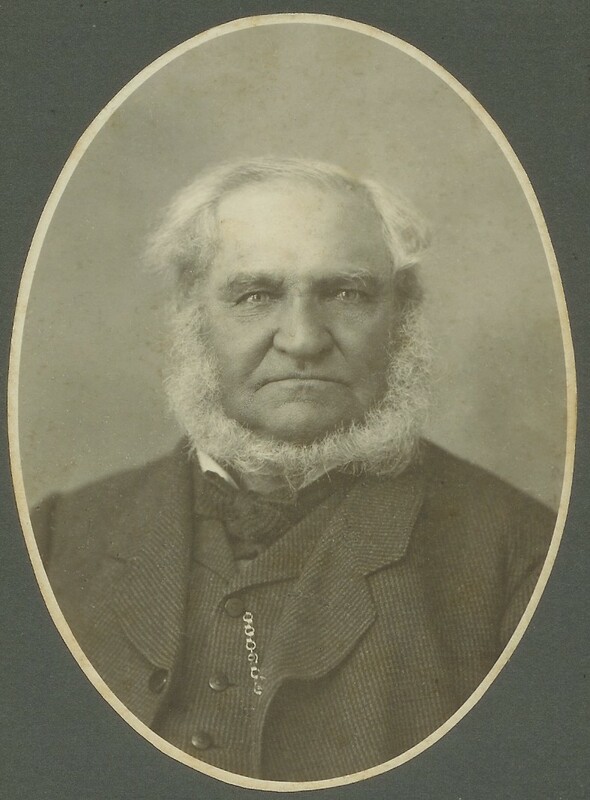 [signed] Edouard De Gruchy, Actonvale, Que, June 9, 1886. The foregoing is translated form Le Fidele Messager the French Methodist paper, published by Rev. Thomas E. Dorlon, Sherbrooke, P.Q, at 50s. per annum. The Messager was endorsed by the Conference at Quebec. Readers of the GUARDIAN who understand French, or are learning it, should subscribe for the paper, and thus materially help the enterprise. Cookshire, P.Q., June 28, 1886 E.S. Orr. At his residence in Hallowell, suddenly on Tuesday 12th inst., Mr. Alexander V. Allen, son of Jonathan Allen, Esq., of Adolphustown. Allen - Suddenly at the Kingston General Hospital, on Saturday, March 30, 1963, Charles Parker Allen, beloved husband of the late Dorothy Wilson and dear father of Mrs. Henry Capdeville (Margaret), Camarillo, Calif.; Mrs. Don Marchen (Barbara), Sydenham; Douglas P. Allen, of Kingston. Funeral will take place from the James Reid Funeral Home, Princess street, opposite Sydenham, at 2 pm. Tuesday afternoon, to Catarqui Cemetery. Friends and acquaintances are respectfully invited to attend. In loving memory of Charles Penner Allen, beloved husband of the late Marion Outwater who passed away at Adolphustown on Friday, Nov. 3rd, 1950 in his 90th year. Resting at his late residence, Adolphustown for funeral service at St. Albans Anglican Church on Monday, Nov,. 6th, 1950 at 2 p.m. Rev. H. C. Seeker officiating. Interment St. Albans Cemetery Adolphustown. ALLEN - Suddenly at Adolphustown on Friday, November 3, 1950, Charles Penner Allen, beloved husband of the late Marion Outwater, and dear father of Parker, Kingston; Mrs. John Heffer (Bella), Picton; Alexander, Adolphustown; Mrs. Louis Purdy (Lola), Camarillo, Calif.; Mrs. John McGilvray (Edith), at home; Mrs. Donald Harris (Geraldine), Hornell, N.Y.; Lawrence, Adolphustown; Mrs. Sydney Anderson (Jean), Cataraqui in his 90th year. Resting at his late residence, Adolphustown for funeral service at St. Alban's Anglican Church on Monday, November 6 at 2 p.m. Rev. H.C. Secker officiating. Interment St. Alban's Cemetery. A very sad death occurred at Kingston General Hospital in the early hours of evening, on Tuesday, March 24th, 1931, when Clarence Secord Allen, beloved husband of Leita Marion MacWilliams, passed to the Great Beyond at the early age of thirty-nine years. Deceased was the eldest son of Mr. and Mrs. W. J. Allen, of Yarker, Ont., and had been in the best of health until a very short time before his untimely death. When he was seized with an acute attack of appendicitis he was rushed to the hospital, where an operation was performed immediately, only to find that gangerine had set in and all that the best medical skill, tender nursing and loving care could do, was of no avail, for God said: “Come unto Me and Rest” and took dear Clarence away from his suffering to His heavenly home above, and there we leave him to rest in peace, for as he said, he was tired. Deceased was affiliated with the United Church and was a strong supporter of every good work. He leaves to mourn the great loss of a devoted husband and father, his sorrowing wife and three young children, Bruce, Vera and Gordon; also his aged parents and three brothers, Calvin and Alvin who reside at Moscow; Blake, of Camden East; and three sisters, Mrs. James E. Craig, of San Francisco, California; Mrs. LeRoy Lampkin, of Moscow; and Florence at home, who have the sympathy of a host of friends in the loss of a loving son and brother. Owing to the unfavourable condition of the roads at the time of his demise, the funeral was held from his parents’ residence, at Yarker, to the United church, at the same place, at two o’clock on Thursday, March 26th, and was very largely attended by friends and acquaintances from far and near. Rev. T. H. P. Anderson, of Newburgh, conducted the service, assisted by Rev. George MacKenzie, of Yarker. Mr. Anderson made very fitting references to the honourable life of the departed, and the great loss sustained by his immediate family. The beautiful floral offering paid silent tribute and the remains were conveyed to the Camden East vault, to await interment. The pall-bearers were cousins of the deceased, namely, Hubert Wartman, Frank Paul, John A. Wartman, Walter Clancy; Everett Evans and Fred Switzer, while Harry Wartman and Fraser Allen were flower bearers. Deceased was a splendid neighbor, a true friend, and will be greatly missed by a wide circle of friends. The heart-felt sympathy of the community is expressed for the bereaved family. At Adolphustown, on July 19th , Dorothy Marie Allen, aged two years and one month. ALLEN - At Adolphustown, on Monday, March 13th, 1922, Elda Allen, aged 28 years. DIED - In this Town, this morning, Eliza Anne, youngest daughter of Dr. Allen, aged one year. At the home of A. A. and Elizabeth Allen, near Marlbank, their oldest son, George Albert, died at an early age of 13 years, 11 months and 27 days on the 19th of March 1897. In the early part of the winter he got whooping cough, which was prevalent in that neighborhood. When nearly well his sickness turned to pneumonia which lasted some weeks. When he had about recovered from this trying complaint and was up for a few days and was thought to be out of danger, he was taken with a pain in his head from which he never recovered. He passed away in the early morning, as the sun was rising. He seemed to have mastered all of his ailments, and without the trouble in his head, he was sound and straight. Everything that medical skill and kind friends could think of was done for him but without avail. He always enjoyed good health and had a prospect of being a strong man. In early life he showed a liking for books and good literature; he was a good student and expected to try for the entrance this coming summer. He was a member of the young men’s class in the Marlbank S. S. taught by his sister. From this class he will be greatly missed as he was a regular attendant. In answer to the prayer of this teacher and devoted parents and the ministry of the Holy Ghost, he was early lead to seek the Saviour and lead a new boyhood Christian life. He had not yet ventured out into the world of society, but was loved and respected by all that knew him. His funeral was conducted by the resident pastor J. R. Butler, on Sabbath at Marlbank. After seeing the immense gathering of friends and relatives as well seated as possible, he took for his text Philippians 1st chap. 23 and 24th verses, from which he gave a very inspiring and instructive sermon, after which the remains were placed in the vault. The sorrowing family, which is composed of two daughters and two sons, also R. A. Allen, who was George’s closest companion, have the sympathy of the whole neighbourhood. Word reached town on Saturday of the death at Marlbank at six o'clock that morning of Henry A. Allen, a prominent citizen and mill owner of that village. Deceased had only been ill a few days of pneumonia. A wife, two daughters and one son are left to mourn a tender husband and father. Deceased was one of a family of eight boys and five girls, children of the late Dr. Allen, a well known resident of early years. The brothers are: John, Marlbank; W.G., deceased; James S., Mountain Grove; A.A. and A.D., Marlbank; Richard B., Napanee, and R.F., Carman, Manitoba. The five sisters are all married and settled in the vicinity. The deceased was about sixty years of age. The funeral takes place today to Marlbank cemetery. The sympathy of a very large number of friends is extended to the family in their sad bereavement. SAD ACCIDENT – On Wednesday afternoon, last, March 25th, Capt. Isaac Allen, living near our village, went with his horses and wagon to burn his meadow at Pine point, and his non-arrival home early in the evening, was cause for much anxiety by his wife. She hastily informed Mr. John C. Phillips and Wm. H. Cornelius, and they together started to find the missing man. They found the team and wagon loaded with drift stuff or sea-weed, in Pine Point stack yard, and by following the wagon track on the meadow, they there found Capt. Allen lying on his back dead. They carefully and tenderly conveyed him to his home, which he left but a few hours before in perfect health. How he was killed, cannot be exactly told, but the generally received opinion is, that after leading his wagon and desiring to take the team out of the way, so as to burn the dead grass on the meadow, (as is the custom at this season of the year,) he got, or attempted to get on the wagon, and the horses by making a sudden start, threw him under the wheels, thereby causing his death. His head was somewhat bruised and it is thought by some that his neck was broken. We have known him long and well. He was a genial companion a good and obliging neighbor; kind and indulgent parent, and by his untimely taking off, has cast a gloom over the entire neighborhood. We sincerely condole with the bereaved family. The funeral services were conducted at his residence, by Rev. Mr. Ogborn, on Sunday March 29, after which, the remains were taken to Toms River, and interred in the Riverside Cemetery. Peace to his ashes. In Memoriam - The Late James Allen. We believe that we are safe in saying that there was no one better known in this county than the late James Allen, who died at his home in Napanee on Sunday last, after an illness of several months. The subject of this sketch was born in the township of Ernesttown, near the village of Wilton, on the 7th of May, 1825. The earlier portion of his life was spent on the farm with his parents, and while there he was surrounded with the best of influences, and they made an impression which lasted through life. Arriving at the age of manhood he went to Odessa and engaged in the milling business with the Booth Company. He remained in Odessa but a short time and then went to Morven, where he remained about twelve years, being engaged in lumbering and jobbing. In 1853, Mr. Allen married Charlotte Johnson, and to them were born six children, only two of whom are left to mourn the loss of a loving father. In 1867, James Allen moved to Napanee, and in the same year was appointed chief of police, a position he retained until his death. Mr. Allen was a conscientious servant of the public, and performed his work well. Possessed as he was of a kindly heart, he dealt leniently with wrongdoers, trying to make them better men instead of crushing them with an iron hand. Deceased was a well known and highly respected member of the Methodist Church, he having connected himself therewith about thirty-five years ago. As class-leader, steward and local preacher he served his church, and always with acceptability. In temperance work his voice was frequently raised, and he was looked upon as one of the most earnest of the advocates of that great moral reform. James Allen was possessed of a great deal of natural ability, and he always regretted that he had not availed himself of his privileges and acquired a better education. He was a good man and was respected by all, by none more than by those who knew him best. For twenty-two years he faithfully served this town as chief of police and growing up with the town and knowing all of its history, he was looked upon as an authority on all matters pertaining to this municipality. His place will not easily be filled. Mrs. Allen and two daughters, Emma, the wife of Mr. Williams, of Toronto, and Helen, who resides at home, are left to mourn his loss. They have the sympathy of the entire community in their great affliction. Their sorrow is lessened by the knowledge that he whom they loved died trusting in Christ, and that there is no doubt about his having 'gone home' to his reward. The funeral on Tuesday afternoon was very largely attended, the town officials, town councillors, firemen, members of the Masonic fraternity and a large number of citizens following the remains to the church and thence to the grave, in the Morven Cemetery. The body was taken to the Western Methodist church, which was appropriately draped in mourning, and a solemn funeral service held, conducted by Rev. S. Card, assisted by Revs. David Wilson, Dr. Garner and A.B. Chambers. The vast church was thronged and seldom have we seen so many people at a funeral in Napanee. The funeral was under Masonic auspices, the deceased having been a prominent member of that order for many years. In conclusion we can only say James Allen was an honest, upright, earnest Christian man, and the respect shown his memory on Tuesday last was well deserved. James Henry Allen - An honored resident of Newburgh, in the person of Mr. James Henry Allen, passed to rest at the General Hospital Kingston, on Thursday, May 17th, 1923. Mr. Allen lacked three days of being sixty-one years of age. He was born May 20th, 1862, and always lived on the same farm until he died. His grandfather was born in Ireland, and also his mother, who came to Canada when six years of age. in 1897 he married Miss Ethel Fraser, daughter of Mr. and Mrs. Isaac Fraser, of Odessa. He was an industrious farmer, a worthy citizen, a good neighbor, always ready to do a favor, consistent in business, and honorable in his dealings. He was self-sacrificing, perhaps to a fault, in his endeavour to provide for his home; a kind father and worthy husband. He was converted to God in his teens, and joined the Wesley Methodist Church, of which he continued a member until death call him to the church Triumphant. The funeral services were held at the family residence on Saturday, May 19th, at 2 p.m., and were conducted by his Pastor, Rev. Geo Nickle, who spoke from Rev. 2:10, "Be thou faithful unto death and I will give thee a crown of life." The esteem in which deceased was held was shown by the large number who attended the funeral services. The remains were interred in the Newburgh cemetery to await the resurrection to life eternal. He leaves to mourn their loss his beloved wife and one son, Fraser; also one brother, William of Moscow, and two sisters, Mrs. Samuel Galbraith, of Lindsay, and Mrs. Milton Huffman, of Colebrooke. At South Fredericksburgh, on the 23rd Sept, in her 74th year, Jane, relict of the late Dr. David Allen. Allen, Jonathan - At Hotel Dieu Hospital, Kingston on Monday, January 31, 1977, Jonathan Allen, RR 1 Bath, beloved husband of Velma Arnold, dear father of Douglas, RR 1 Bath; brother of Mrs. Mary Vaughan, RR 4 Picton; Mrs. Susie Shelley, RR 3 Napanee; Mrs. Caroline Archer, RR 1 Bath; predeceased by William, Jim, Jack and Violet Allen, Mrs. Annie Bosman and Mrs. Alice Peterson. Mr. Allen is resting at the Tierney Funeral Home, Napanee for Funeral Service on Thursday February 3, at 2 p.m. Reverend W.J. Hicks and Pastor Ron Sheffield officiating. Interment Riverview Cemetery. Friends may call 2-4 and 7-9 p.m. Wednesday. John Henry Allan was born at Fredericksburgh 77 years ago. His parents, Mr. and Mrs. Peter Allan, removed with their family to Picton shortly afterwards, so that John H. Allan was practically a lifelong resident of Picton. With the exception of a short period in business in Port Hope, Mr. Allan was engaged continuously in the seed business in Picton up to a few years ago. His was the pioneer house in this district in the fancy pea raising industry and many thousands of dollars have been paid through his agency to the farmers of Prince Edward and adjoining counties for the product grown from seed furnished by him. The business which was started in a small way on the north side of Main street, soon assumed such proportions that larger premises were required and it was removed across the street to the premises where the deceased has resided so long. The industry again outgrew its location, and the John H. Allan Seed Company was organized, several American capitalists becoming interested and Mr. Allan retiring from active management. In addition to the Picton house this company controlled several branches in the United States and conducted business on a large scale. Though the company sold its Picton branch to Messrs Hogg & Lytle, and Mr. Allan is understood to have withdrawn from the company, the American end of the business flourishes and still bears the name of the deceased, being known as The John A. Allan Seed Company with headquarters at Sheboygan, Wisconsin. The name of John J. Allan in connection with a seed house is an asset worth retaining and has a worldwide reputation. In early manhood Mr. Allan took an active part in municipal affairs, and in the seventies was mayor of Picton for several years in succession. He was a prominent personage in the Liberal party in Prince Edward County, and though frequently urged to become the party candidate he steadfastly declined the honor, preferring to advance the party principles by laboring as a private in the ranks. The deceased was a great lover of horses, and kept a stable of fancy bred animals for pleasure and breeding purposes. Though in recent years he seldom drove the horses himself, in his younger days he was quite a horseman. He always took a deep interest in the welfare of his horses and was very particular as to the character of the man who had charge of his stable. Mr. Allan was twice married, his first wife being a Miss Fralick of Bath, Ont., who left no family. His second wife survives and was formerly Miss Bella Lake, daughter of Mr. W. H. Lake, coal merchant, Picton. By the second union a daughter, Miss Phyllis Allan, about eight years old, is the only child. A sister, Mrs. Knowlson lives at Chicago. The funeral took place on Wednesday afternoon and was conducted by the Masonic fraternity. Rev. William Shearer being the officiating clergyman. ALLEN – At Adolphustown of consumption, on Sunday, 18th inst. Joseph Allen, M.D., eldest son of Parker Allen, Esq., aged 31 years and 2 months. The deceased was a young man of great promise, and a skilful Physician. He commenced his studies at Queen’s college, Kingston, and finally graduated at Bellevue Hospital, N.Y., and had successful practice in East New York, where he had many friends. During his last illness, he was brought home to his father’s house in Adolphustown, only to survive a few days. He married a daughter of Thos. J. Gibbs, Esq., who died about 1 year ago, leaving two daughters. We sympathize with the bereaved family who mourn his untimely death. A Graduate Gone - On Sunday last, Joseph Allen, M.D., died at his father's residence in Adolphustown the deceased was a young man of great promise and a skillful physician. He commenced his studies at Queen's College, Kingston and had finally graduated at Bellevue Hospital, N.Y., and had successful practice in East New York. He married a daughter of Thos. J. Gibbs., Esq., who died about a year ago, leaving two daughters. The remains of the late Mrs. Margaret Allen, Toronto, were interred at the McDowell Memorial Cemetery at Sandhurst, on Saturday of last week. Mrs. Allen was a sister of Mr. P. Sills, of Sillsville, and Messrs. Harold and Ralph Sills, of Sandhurst are nephews. The Beaver has made frequent mention of Parker Allen, J. P., of Adolphustown, as being the oldest resident of that township and the last survivor of the early school mates of Sir John Macdonald, when he and his sisters attended the old log school house there in their early days, walking nearly four miles each day to reach it. Mr. Allen died on Friday last, 10th inst., at the residence of his daughter, Mrs. C. M. Nash, Kingston at the patriarchial age of 90 years and 10 days. He retained his mental and physical faculties to a remarkable degree until the past year. He was seldom sick a day during his long life and his memory of the early events of his native township, and of the U.E.L. pioneers was truly wonderful He was only a couple of days sick at the last - of pneumonia and general debility. He was of genuine, U. E. Loyalist descent. His grandfather, Joseph Allen, was a Quaker and large mill owner in New Jersey when the American revolution began. Like most of his sect he took no part in the war at the commencement, but had supplied the British with considerable flour and provisions as a matter of business. The Americans learning of this went one day to his mill and store house and plundered them . This so greatly incensed him that he went at once to New York and obtained a captain's commission and returned home and got up a company of volunteers who did vallent service on the British side during the war. Of course all his property was confiscated, and at the end of the revolution he had to join the other Loyalist refugees, with his two sons, Jonathon and John, then boys of 14 and 12 years of age and three daughters. Jonathon, father of the deceased, spent all his days in Adolphustown, where he died many years ago, and lies buried in the Church of England cemetery there. He was a man of a good deal of enterprise, and is said to have built the first brick house in the township, the remains of which stood until a few years ago. Mr. Parker Allen spent all his years in his native township on a farm just a lot or two east of where he was born. He was married in 1845 to Miss Nash, a daughter of the late Thomas Nash, J. P. of Picton, who survives him, with several of their sons and daughters. The sons are Thomas and Charles, well known residents of Adolphustown; and James, who resides in Portland, Oregon. The daughters are Mrs. Edward Botterell, of Ottawa; and Mrs. C. M. Nash of Kingston. He was a man of much intelligence and was held in high respect by those who knew him. His name appears in the old records as Township clerk of Adolphustown sixty-two years ago, in the days of the old time town meetings. He was several times a member of the Township Council and also represented his native township in the old united counties council, which sat in Kingston over forty years ago. In politics he was a staunch Conservative and a warm personal friend of Sir John Macdonald, Hon. Senator Benjamin Seymour and others of that class. He was, for years, a prominent member of the Church of England. Under the instrumentality of the late Lord Cecil he became thoroughly converted, years ago, and was ever after a zealous member of the Plymouth Brethren. It may yet be remembered by some readers of The Beaver, that it was while on a trip to Mr. Allen's home, and in sight of it, that Lord Cecil was drowned in the Bay, just a little west of Adolphustown, some years ago. The personal friendship was very close between these gentlemen for years. The body was deposited in the Cataraqui vault, near Kingston, but will be removed to Adolphustown in the early spring to find its last resting place beside those of his kinsmen and many former neighbors, who have gone on before. PARKER ALLEN DEAD – Born at Adolphustown Over Ninety Years Ago – As the ripened fruit falls from the bough when touched by the frost of autumn, as was garnered in the spirit of Parker Allen, when touched this morning by the chill hand of death. In age over ninety years and ten days he had seen much of life, had run his course and was ready to join the innumerable caravan that moves to the silent realms of death. The late Mr. Allen was born in Adolphustown, Lennox county, his father being one of the oldest U.E. Loyalists who settled in the Bay of Quinte district. There it was, on his own broad acres, the deceased spent nearly ninety years of an active, useful life. He was well known as one of the most prosperous farmers and one of the most revered citizens. He was the oldest man in Adolphustown, and the news of his demise will be sincerely mourned. Last winter he spent in Ottawa with his daughter, Mrs. Edward Botterell. On Good Friday last he came to Kingston and since then has been visiting his other daughter, Mrs. C. M. Nash, 125 Union street, this city. His was a wonderful constitution, for he was seldom sick a day during his long life. On Wednesday he ate a hearty breakfast, but during the day was taken ill. Pneumonia, combined with general debility, hastened the end. The deceased took an active interest in municipal politics. He was a conservative, and had at one time or another held all the offices in the gift of the township. He is survived by a widow, the two daughters mentioned above, and three sons, viz. : Thomas and Charles on the homestead; James in Portland, Oregon. In religion Mr. Allen was a member of the Plymouth Brethren. The remains will be deposited in the vault at Cataraqui cemetery until spring, when they will be removed to Adolphustown for burial. Deceased in early days, was a schoolmate in Adolphustown, of the late Sir John A. Macdonald. NAPANEE, April 1. - Napanee lost one of its most highly esteemed residents and Grace church its oldest member of the official board in the death of Mr. R. B. Allen which took place at his home, Market Square, shortly after 9 o’clock on Sunday night, and arrangements have been completed for the funeral which will take place from Grace church at 2 o’clock on Wednesday afternoon, after which the cortege will proceed to the Allen cemetery, near Marlbank. Mr. Allen had been in poor health for the past year and recently quietly observed his 87th birthday. Of a family of eight boys and five girls, children of the late Dr. James Allen and Mrs. Allen, the deceased was the sole surviving member. Mr. Allen’s parents were born in the north of Ireland and came to Canada 108 years ago on a sailing vessel. The time required for the trip was thirteen weeks. The father of the deceased practised his profession in Conway and other points in the county and in later years erected a mill near Marlbank known as Allen’s Mill. Dr. Allan was a graduate of the University of Edinburg and at his graduation had a choice of seven diplomas. He was the highest in his class and could speak seven languages. The deceased had been in business in Napanee for nearly half a century and in his younger days was a talented soloist, assisting in concerts throughout the county to a considerable extent. His business had been in musical instruments and many changes have taken place since he opened up a store in Napanee. In the early days pianos and organs were in great demand and then came the talking machines. Mr. Allen was the representative for the Edison talking machines and had probably the first one to come to Napanee. He did a wonderful business and his store was known throughout the entire county. Of late years he had not the time to attend to the business as he desired owing to ill health. Throughout his life he had been a devout member of the Methodist (now United) church, and joined the former Western Methodist (now Grace United) church on coming to Napanee. He was not only the oldest member of the board but took a keen interest in the work of the choir and was a member of the music committee for many years. He was also greatly interested in temperance and was not slow to cast party affiliation to the wind when that party did not promote the temperance cause. He was also interested in bees and on many occasions gave addresses in connection with the honey business. A member of the Orange lodge for a long period of years he occupied various offices in the blue lodge and also took thirteen degrees in the Preceptory. He was a member of many years standing in Union Lodge No. 9 A.F. & A.M. and until illness intervened rarely missed a meeting. In his passing Napanee has lost one who had a wide circle of friends and whose cheery disposition mad the many friendships enduring. Mr. Allen was twice married and besides his wife leaves a family of three, R. A. Allen of Toronto, Mrs. Lileon Clayton of Toronto and Mrs. (Dr.) Frank Anderson of Ottawa. There are twelve grandchildren and ten great grandchildren. ALLEN - Robert Lionel. Suddenly, at Napanee, on Monday, July 1, 1985. Robert Lionel Allen beloved husband of Annie Lorraine Vaughan, R. R. 1 Bath. Dear father of Mrs. David Shelley (Marilyn) and Glen, R. R. 2 Napanee; Susan, R. R. 4 Picton. Grandfather of Lorraine, Keith and Danielle Shelley; Anthony and Kimberly Allen. Brother of Clarence, Victor, Billy John and Mrs. Roger Killingbeck (Annie) all of R. R. 1 Bath; Ila Allen, Picton and the late Roberta Shelley. Son of Dorothy Allen and the late William Allen. Resting at the Wannamaker-Tierney Funeral Home, Napanee. Funeral Service in St. Alban’s Church, Adolphustown, Thursday July 4 at 1 p.m. Rev. David Bell officiating. Interment in St. Alban’s Cemetery. Friends will be received Wednesday 2 to 4 and 7 to 9. MISS FANNIE ALLINGHAM – died on Monday last, after a protracted illness, and was buried on Wednesday afternoon, Rev. D. E. McIntyre conducting the service. Deceased was a most estimable young lady, a general favorite with all who knew her, and a daughter of the late Richard Allingham. Besides her mother, she leaves three sisters, Mrs. Hyland, Watertown, N.Y., Miss Annie, New York City, and Miss Mollie at home, who have the sincere sympathy of the many friends. JOHN ALLINGHAM - Died at his late residence in the township of Mornington, on the Milverton Circuit, on the 23rd of January, 1886. Brother Allingham was born in the county of Donegal, Ireland, in the year 1816 and was married to Miss Jane Armstrong in 1848 and came to Canada in the year 1850 and settled at Bowmanville, where he remained for a few years, and then moved to Mornington where he remained till death. Mr. Allingham was brought up in connection with the English Church, but attended the Methodist Church on this circuit with his devoted wife, who from childhood has been a consistent and loyal member of our Church. Brother Allingham was very retiring in disposition, but a man of sterling worth and highly respected by all who knew him. He raised a large and respectable family of children who with their devoted mother mourn their loss. Mr. Allingham was very successful as a farmer, and leaves all his family in comfortable circumstances and several of them members of the Church. Our dear brother died in piece, of inflammation of the lungs, in the 71st year of his age, and we laid all that is mortal of a faithful husband and a loving father in the Millbank cemetery, in hope of a glorious resurrection from the dead. The sudden death occurred at her home in Trenton on Tuesday, January 15th, of Mrs. David H. Allison, in her 72nd year. Mrs. Allison, who was formerly Ada Laura Clapp, was born in South Fredericksburgh Township, County of Lennox and Addington, and was a daughter of the late Mr. and Mrs. Irvin Clapp. She was a former resident of Adolphustown, but for the past few years had lived in Trenton. She was a member of the United Church. Besides her husband she leaves two daughters, Martha, Mrs. James Tyler, Indiana; Mary, Mrs. Jack Dester, Buffalo, N.Y., and two sons, Ward Allison, of Selby, and Dalton Allison, of Trenton. She also is survived by one sister, Mrs. Ruby Stratton, of Winnipeg. Her funeral was conducted at the Weaver Funeral Home in Trenton on Thursday, January 17th, by Rev. G.J. Minielly and interment was in the Allen cemetery at Adolphustown. Allison - At Adolphustown, on Thursday, December 5th, 1940, Amelia Elizabeth Allison, in her 88th year. The funeral of the late Mrs. D.W. Allison was conducted on Saturday afternoon, December 7th at St. Alban's Anglican Church, Adolphustown, by the rector of the church, Rev. C.C. Brazill. Mrs. Allison's death occurred on Thursday, about three weeks after she was stricken with apoplexy, from which it was at first thought she might recover. Mrs. Allison was by birth and marriage a member of two of the oldest families in the Township of Adolphustown. She was formerly Amelia Elizabeth Membery, a daughter of the late Mr. and Mrs. Giles Membery, who came to the township from England, many years ago. Her late husband, David Wright Allison, who died in 1906, was a member of a pioneer family of the Bay of Quinte district and was twice a member of the Dominion Parliament, representing Lennox and Addington. Although in her 88th year at the time of her death, and afflicted for the past three years with blindness, Mrs. Allison had been remarkably active until her last illness. Until recently she had been engaged in knitting for the Red Cross and took a keen interest in the events of the day. For the past few years she had as her companion her daughter, Miss Mary L. Allison, a former member of the staff of Bishop Strachan School, Toronto. Mrs. Allison is survived by her daughter, Miss Mary L.. Allison, and three sons, Dr. D.M. Allison, Camden, N.Y., J.B. Allison, Postmaster of Napanee, and Ray J. Allison, of Adolphustown. Following the funeral service on Saturday, Mrs. Allison's body was place in the Allison Mausoleum, at Adolphustown. ANITA JENNIE ALLISON - Born Feb 5th 1895, died Jan 11th, 1908. Flowers have their time to bloom, and leaves their time to fall, But for thy seasons, oh death, Thou hast them all. Rarely has the news of a death brought expression of such universal and sincere sympathy and regret as that of Miss Anita Jennie Allison, whose young life came to a close on Saturday morning, at six o'clock. Life for her held much of roseate tinge and in her home and friends she was blessed with the tenderest purest affection. She was the youngest daughter of the late Roderick and Mrs. Margaret Allison, of Parma, and her life had been spent there until a few months ago, when she came to Adolphustown to live. She had only been ill a few days with appendicitis which demanded an operation and her strength failed to carry her through the ordeal. The last sad obsequies were held from her late home on Monday afternoon at one o'clock. Rev. W. S Boyce, of Adolphustown, officiating. Mr. Boyce spoke with the deepest emotion, of the fair young life, of her many graces of person and character, and of the sweetness of the assurance that she had passed from an earthly home to one fairer and more unperishable, where she awaits the coming of those whose hearts ache now for the vanished presence. The floral tributes were beautiful. Interment was made in the Allison Mausoleum. Messrs. John A. Duffett, Harold W. Duffett, John A. Stratton, George Chalmers, Arthur Chalmers and Parker Allen officiating as bearers. SAD DEATH AT ADOLPHUSTOWN - The whole circuit of Adolphustown and many persons beyond were shocked and saddened by the knowledge of the death of J. Anita Allison, youngest daughter of the late Roderick Allison. The best medical assistance that could be procured was called to the sick bed, and after they had done their best to relieve the trouble the death messenger entered the room and Anita "was not for he took" her. She died at 6 a.m., on Saturday, Jany. 11th, 1908, at the age of 12 years and 11 months and was laid to rest in the Mausoleum adjoining Allison's wharf, erected by the late David W. Allison, to await the resurrection day. The funeral was a very large one; friends of all denominations in the neighborhood and far beyond, were present to manifest their sorrow for the departed, and their sympathy with the mother, sister and other near relatives. The service was conducted by Rev. W.S. Boyce, who preached from John 13, 7. "What I do thou knowest not now, but thou shalt know hereafter." By her innocence, sweet spirit and entertaining ways, Anita had won for herself a wide circle of friends, and with her death much sunshine has gone from her school-mates and the home. Our heartfelt sympathy and prayers go out on behalf of Mrs. Margaret Allison, the mother; Amy Allison, the sister, and Mr. and Mrs. Cyrus Allison and Mr. and Mrs. James L. Loyst, the grandfathers and grandmothers; for the grief which is more especially theirs, and that the dear Master in his own good time may take us to that home where parting is no more. Funeral service for Arthur Wright Allison of Adolphustown, was held from the Tierney Funeral Home, Napanee, Friday, November 21, to Dorland United Church. Mr. G. Potter of Conway officiated. Interment Allison mausoleum, Adolphustown. Pall bearers were Jack Duffett, Alex Allen, Jonathan Allen, Hugh Allison, Jack Prout and Jack Roblin. Mr. Allison died November 18, 1962 in Prince Edward County Hospital, Picton, three days after being admitted after suffering injuries in a farm accident. He was riding on a wagon load of wood being pulled by a tractor driven by his son Percy. The trailer unhooked from the tractor, the tongue, striking the highway, swerved and Mr. Allison was thrown beneath the trailer. Mr. Allison was born at Adolphustown and was in his 82nd year. He was a direct descendant of the United Empire Loyalists, and had always resided in Adolphustown township. He was an esteemed resident, a good neighbor and will be greatly missed. A member of the United Church, he served on the Board and was also a member of the U.E.L. Association. Surviving are four children, Balfour and Percy and Harriet at home, Mrs. Leslie Chiles (Marjorie) of Wilton. A daughter, Martha E. Allison died as an infant. There are four grandchildren, Mrs. Gerald Courtney (Shirley) of Picton, Ronald Carman and Marilyn Chiles; a great grandchild, Keith Arthur Courtney, Picton. A direct descendant of an old United Empire Loyalist family, 81 year old Arthur W. Allison, died recently in Prince Edward County Memorial Hospital. Mr. Allison was born in Adolphustown, a son of Joseph B. Allison and his wife the former Martha Membery. He resided in the township of Adolphustown all his life and was an active farmer in the area. Mr. Allison was an active member of Dorland United Church and had served on the church board. Surviving are sons Balfour and Percy and daughter Harriet at home, and one daughter, Mrs. Leslie Chiles (Marjorie), of Wilton. Also surviving Mr. Allison are four grandchildren and one great-grandchild. Funeral service under the direction of G. Potter, Conway was held from the Tierney funeral home in Napanee to Dorland United Church. Pall-bearers were Jack Duffett, Alex Allen, Jonathan Allen, Jack Prout, Hugh Allison and Jack Roblin. Interment was in Allison Mausoleum, Adolphustown. ALLISON - Suddenly at his late residence, Adolphustown, on Sunday, Feb. 25, 1968, Balfour Harold Allison, son of the late Mr. and Mrs. Arthur W. Allison and brother of Percy, Adolphustown; Mrs. Leslie Chiles (Marjorie), Wilton; and Harriet, Adolphustown, in his 63rd years. Mr. Allison rested at the Tierney Funeral Home, Napanee. Funeral service at Adolphustown U.E.L. Church on Wednesday, Feb 28th. Mr. Ronald Pierce, Conway, officiating. Interment, Allison Cemetery. The death occurred at Picton Memorial Hospital on March 31, 1959, of Charles Frederick Allison in his 89th year. He spent his life on the family homestead at Adolphustown where he was born. The late Mr. Allison took an active part in municipal business and community affairs. He was the most elderly member of the Bay of Quinte Branch of the United Empire Loyalist Association of Canada. He is survived by two sons and daughters; Ross, Hugh, and Edith, of Adolphustown, and Mrs. C. B. Creighton (Ila), Napanee. The funeral was held Friday, April 3, from his late residence with G. Southall officiating. The pall-bearers were Archie Wright, Harry Babcock, Robert and A.C. Allison, Donald and Clifford Creighton. Interment was in the Allison mausoleum. One of the youngest medical graduates of Queen's University, Kingston, and a member of one of the oldest families in Ontario, Dr. David Membery Allison, died early last Thursday morning at his home in Camden, New York. He was 77. Born at Adolphustown, a son of the late D.W. Allison, at one time Member of Parliament for Lennox-Addington in the 1880's, and his wife, the former Florence I. Roberts, the late Dr. Allison graduated in medicine from Queen's in 1900 and did post-graduate study in England. He practised for a year at Mountain Grove before moving to the United States in 1902. His earlier education was received at Adolphustown and Picton High School. In ill health for some time, deceased had retired eight years ago. He leaves his wife and a son and two daughters, Dr. W.E. Allison, of Camden, N.Y., and Mrs. D.C. McKnight (Isobel), of Syracuse, N.Y., and Mrs. R. Borbourn (Margaret) of Baldwinsville, N.Y.
Also surviving is a sister, Miss Mary L. Allison, of Napanee, who formerly taught at Bishop Strachan School in Toronto, and two brothers, John B. Allison, of Napanee, at one time postmaster here, and Raymond J. Allison of Adolphustown. The funeral was held Saturday with interment at Camden, N.Y.
D.W. ALLISON – For two weeks past a prominent citizen of the township of Adolphustown, and widely known and highly esteemed throughout Lennox, Mr. D. W. Allison, was gradually sinking, and on Tuesday afternoon the end came. Deceased had attained the patriarchal age of eighty-five years, but there is little doubt his death was prematurely hastened through an accident at Picton over a year ago, when he was knocked down by a runaway horse, and so badly shaken up and injured that from that time on his decline was marked. David W. Allison was a son of the late Joseph Allison, of U.E. Loyalist stock, and one of a large family. The remaining brothers are Cyrus Allison, Parma; Joseph Allison, Adolphustown. John and Henry died some few years ago. The sisters are Mrs. Gunsolus, Adolphustown; Mrs. W. Briden, Kingston, and Mrs. Mallory, Adolphustown. Besides his widow one daughter and three sons survive. They are, Miss Mamie Allison, Dr. David Allison in the United States; John B. Allison, collector of customs, Napanee and Raymond Allison, at home. Deceased was a Methodist in religion. The funeral service was held in the U.E.L. Methodist church on Thursday afternoon, and was attended by a large concourse of people, many of who came from a distance to pay a last tribute of respect to their departed friend. Rev. W. S. Boyce conducted the services, and the remains were placed in the family mausoleum. Some time after leaving school the late Mr. Allison entered commercial pursuits, and how successful his exertions were is best learned by looking at the position which he held in the industrial life of the country. By his keen business tact he amassed a fortune, which he employed by promoting the prosperity of the community in various active pursuits. Every enterprise which promised to be of public advantage received his encouragement and support. He was extensively engaged in the manufacture of lumber and salt in the Saginaw Valley, Mich. and held important interests in mineral lands. In addition to such enterprises Mr. Allison engaged in farming upon an extensive scale, and was some years ago the largest land owner in the County of Lennox and Addington. Mr. Allison was a consistent reformer and his public career, though brief was equally successful with his commercial record. In 1881, he was elected warden of Lennox and Addington county and made an excellent presiding officer, assisting materially in the important work of consolidating the county debt. In 1882 he was elected to represent the constituency of Lennox in the parliament of Canada, and made a good representative. Socially he was held on the highest esteem. He was a member of the Masonic craft, having received the highest degrees obtainable in this country. In 1876 he married Amelia Elizabeth Embury, a member of one of the oldest families in the township. He erected on the shores of the Bay of Quinte, in a most picturesque spot, a palatial residence, planned and equipped with every modern convenience. Here his hospitality was unbounded and his home the centre of social life in that community. Mr. Allison was a member of the Methodist church, and one of its liberal supporters. Years ago he erected on the bay shore a splendid mausoleum of solid cut stone, which is nearly as indestructible, either by time or the elements as it is possible to make and there the remains of himself and family will be placed when their career here is ended. ALLISON, Edith M. - At St. Lawrence Place Kingston, Saturday, May 30 1987, in her 82nd year, Edith M. Allison, Adolphustown; predeceased by one sister Ila Creighton and brothers Ross and Hugh, survived by several nieces and nephews. The family received friends at the Wartman Funeral Home, Napanee. Funeral Service was held in the Chapel, Tuesday at 11 a.m. Cremation. Interment in the Allison Family Mausoleum. Friends desiring may contribute to the Cancer Society. Adolphustown - Edith M. Allison, 81, of Adolphustown, a descendant of United Empire Loyalists, died recently at S. Lawrence Place, Kingston, following a short illness, and was interned in the Allison Family Mausoleum here following cremation. She was born in Adolphustown, a daughter of the late Fred and Minnie Allison, and spent her lifetime in the immediate area. A bachelor of arts graduate from Queen's University in 1930, she became a school teacher, Miss Allison retired from her post with the Napanee and District Secondary School in 1964. She was a member of the Canadian Federation of University Women, Kingston branch, and a member of the United Empire Loyalists, Quinte branch. Miss Allison attended Adolphustown United Empire Loyalist United Church. Surviving are two nieces, Joan Rolph and Helen Marsh, and five nephews, Gerald, Donald and Clifford Creighton, and Albert and Robert Allison. Rev. Mary Gaynor-Briese officiated at a funeral service. Allison - In Picton, Nov 13th, Eva Allison, relict of the late Rev. C.H. Allison, aged 83 years. Mrs. Eva Allison died at the residence of Dr. H.W. Branscombe, Picton, on Sunday last. Mrs. Allison had lived with her son, C.B. Allison, Picton, and during a brief visit with her daughter, Mrs. Branscombe was seized with the illness of which she died. She was relict of the late Rev. Cyrus Allison, a pioneer of Methodism of the Bay of Quinte district. In Mrs. Allison he had a partner whose noble and heroic nature well qualified her to sustain him in his arduous work. She was a woman of disciplined mind and refined christian character, and throughout life was ardently loved. The funeral took place on Tuesday and was very largely attended. The floral decorations were beautiful and in excellent taste. The bearers were: David W. Allison, Henry H. Allison, Cyrus R. Allison, Adolphustown; Charles B. Allison, H.W. Branscombe, W.H.R. Allison, Q.C., Picton. Mrs. Florence I. Allison, 84, widow of Dr. David M. Allison, died Monday at the Murdough Nursing Home here after a long illness. She was born Nov. 9, 1875, in Camden East, Ontario, Canada, the daughter of Canon W. and Sarah Elliott Roberts. She was married to Dr. Allison in 1905 in Adolphustown, Canada. The ceremony was performed by the Rev. Archibald Elliott. Mrs. Allison was a graduate of the Bishop Bethune College, Oshawa, Ontario, Canada. She was also a graduate of the Toronto General Hospital at Toronto, Canada. The couple moved to Williamstown in 1905 from Adolphustown, and in 1909 moved to Camden. Mrs. Allison was a member of the Trinity Episcopal Church Camden, and the Camden Historical Club. She leaves one son, Dr. William E. Allison, Camden; Mrs. Donald G. McKnight, Syracuse, and Mrs. R.C. Cobourn, Baldwinsville; seven grandchildren;, one sister, Mrs. George Chalmers, Adolphustown, Canada; one brother, Maurice Roberts, Toronto, Canada, and several nieces and nephews. The funeral will be held at 2 p.m. at the Trinity Episcopal Church, Camden with the Rev. E. Robert Dickson, rector, and the Rev. Frederick Myers, retired, officiating. Burial will be in Forest Lawn Cemetery, Camden. Friends may call at the Sanborn Funeral Home on Wednesday afternoon and evening at their convenience. Allison, Mrs. Fanny - At Kingston General hospital on Friday, March 7, 1975, Fanny (Frances) Forester, in her 87th year, beloved wife of the late Raymond Joseph Allison; dear mother of Harold Alwyn Forester Allison, RR 1 Bath; Mrs. S.B. Cunningham; (Marion Elizabeth), Kingston; and Mrs. H.F. Mallory (Frances Josephine), Kingston. Memorial Service will be held at St. Albans Anglican Church, Adolphustown, on Monday, March 17 at 2 p.m. Reverend Edward Carne officiating. Intombment in the D.W. Allison Mausoleum, Adolphustown. In lieu of flowers donations to the St. Albans memorial Fund would be appreciated by the family. Funeral arrangements by the Tierney Funeral Home, Napanee. Allison, Hugh - At Kingston General Hospital on Thursday, August 7, 1975, Frederick Hugh Allison, Adolphustown, aged 75, beloved husband of Marjorie Parks, dear father of Mrs. John Rolph (Joan), Cobourg, dear brother of Mrs. C. B. Creighton (Ila), Napanee and Miss Edith Allison, Adolphustown, grandfather of Andy and Allison. Funeral notice later. In lieu of flowers donations may be made to the Cancer Society. Hugh Allison - A lifelong resident of Adolphustown, where he was born 75 years ago, and a man of wide interests, Hugh Allison died suddenly Aug. 7 at Kingston General Hospital after a lengthy period of ill-health. He had served as an elder in Adolphustown Untied church, as an Adolphustown township councillor, president of the United Empire Loyalist Cheese Factory, president of the Community Club and was an enthusiastic amateur radio operator - a ham radio fan. He was one of the first members of the first Lennox and Addington County Milk Producers' Association and was first vice-president of the Cheese Producers' Association in the county before it became part of the Ontario Milk Marketing Board and he served on the local board. Frederick Hugh Allison was a son of the late Fred and Minnie Allison and retired five years ago from farming. He leaves his wife, Marjorie, and a daughter, Mrs. John Rolph (Joan), of Cobourg, as well as two sisters, Miss Edith Allison, Adolphustown, and Mrs. C. B. Creighton (Ila) of Napanee, and two grandchildren. He was predeceased by a brother, Ross Allison, Adolphustown. The funeral was held at Tierney Funeral Home, Napanee, with interment at Riverview Cemetery here. pallbearers were Robert Allison, A.C. Allison, Morley Conner, Frank Herrington, Wilfred McCabe and Sidney Worsfold. OBITUARY - HENRY ALLISON, J.P. - (**Written in - Nov. 1902**) The old Township of Adolphustown and indeed this whole county, has lost one of its oldest and best known native residents in the death of Henry Allison, which occurred at his residence, the old family homestead, on Tuesday, the 11 inst. He was born on the old family homestead, which has been occupied by the Allison family ever since the first UE Loyalists came to this county in 1784, and lived on that well-known farm the entire seventy-seven years of his life. After the American revolution the family, which was a large one, got very widely scattered in the States and Canada. In the Maritime provinces, as well as pretty generally throughout Ontario, the family is now well represented. The deceased was a kindly and neighborly gentleman, a man of more than ordinary industry, intelligence, information and ability, always deeply interested in the early history of the Midland District and of Adolphustown. He was a son of the late Joseph Allison, J.P., for many years a prominent citizen, taking an active interest in the moral, educational and religious progress of this county. The deceased was also a member of the Methodist church and of the Liberal party. He was a man of staunch and liberal views. His surviving brothers are, David W., ex- M.P., and formerly a Warden of our County Council; Cyrus, of Parma, also a Warden of this County Council; Joseph, an ex-Reeve of Adolphustown; Edward, Port Perry. Surviving sisters are Mrs. Rev. Briden of Kingston; Mrs. Lewis Brown of Adolphustown; Mrs. Nelson Mallory, of Mallory's Point, Adolphustown. He married a daughter, years ago of the late Solomon Wright, of Fredericksburgh, and their two sons, Harry of Conway, and Fred. who resides on the old homestead, survive him. There are also a large number of respected and influent relatives well-known throughout this county. It may be here remarked that the late Mr. Allison took considerable pride over the fact that there stood on his farm probably the oldest barn in the county, having been built by a Mr. Secord, a carpenter, who soon after was interested in the building of the Major Vanalstine grist mill before 1800 at Glenora, which was said to have been the first flour mill in Prince Edward county. Few families have occupied so long a prominent position in municipal and political affairs, in church and educational matters than that of which the deceased was a respected member. Allison - At Kingston General Hospital on Monday, January 14, 1963, Henry Ross Allison, beloved husband of Evelyn Parks, dear father of Robert, Kingston; Mrs. M. Connor (Nancy), Brewers Mills; and A.C. Allison, Kingston, in his 65th year. The late Mr. Allison is resting at Tierney Funeral Home, Napanee, for funeral service on Wednesday, January 16 at 2:30 p.m. Mr. G. Potter, Conway, officiating. Interment Allison Mausoleum, Adolphustown. In lieu of flowers donations for Cancer society Fund will be received. Member of an old United Empire Loyalist family and one of the original trustees on the board of the Napanee High School Area when it was formed, Ross Allison, of Adolphustown, died last week in hospital in Kingston. His funeral was held here last Wednesday. Mr. Allison farmed on land originally given the Allison family by the British Crown, for their allegiance. It was situated on the Bay of Quinte in historic Adolphustown Township. Mr. Allison was trustee from Adolphustown on the board of The Napanee and District High School Area when it was formed a dozen years ago and had remained on the board until the end of 1962. He was 64. He leaves his wife, the former Evelyn Parks, and two sons, Robert Allison and A.C. Allison, of Kingston and a daughter, Mrs. M. Connor (Nancy), of Brewers Mills. Also surviving are two sisters, Miss Edith Allison, of RR 1 Bath, Mrs. C.E. Clayton (Ila) of Napanee, and a brother, Hugh, of RR 1 Bath. Services were conducted at the Tierney Funeral Home by Rev. Garnet Potter. Pall-bearers were Raymond Fretts, Lt. Col. H.L. Babcock, Richard Daverne, Jack Roblin, Clarence Davis and Harold Allison. Interment was in the family mausoleum at Adolphustown. Death Takes J. B. Allison Tuesday. - J. B. Allison, postmaster at Napanee from 1924 to 1946, died in the Kingston General Hospital on Tuesday, August 4. Mr. Allison was in his 81st year and was once one of the best known residents of the town. He was a native of Adolphustown township where he was born to the late D.W. Allison and his wife Amelia E. Membrey in 1881. After attending Picton High School and Ontario Agricultural College at Guelph, he farmed from 1899 to 1903. In that year he became the collector of customs at Napanee, a post he held until 1913 when he went into the automobile sales business with Dafoe Bros., until 1917. During 1918 and 1919, he served with the Canadian Army Service Corps and was a part of the Canadian contingent to Vladivostock. On return to Napanee, he was in the hardware business until 1924 when he was appointed postmaster, and was in that position until his retirement in 1946. Mr. Allison was one of the early members of the Ashby Hunt club, a past master of Union Lodge No,. 9 AF & AM and a member of Napanee Rotary club for many years. He leaves his wife, the former Elizabeth Andrews Sherwood, of Napanee, who is in hospital at Kingston, and a daughter Miriam (Mrs. Ralph Graham), of Belleville. Also remaining is a sister, Miss Mary Allison. Two brothers, Dr. David Allison and Ray Allison pre-deceased him. The Rev. W. L. Simmons will conduct the funeral service from the Anglican church of St. Mary Magdalene on Thursday afternoon July 6 at two o'clock. The township of South Fredericksburgh has lost one of its most popular, successful and examplary citizens in the death of Mr. J. R. Allison of Parma, which occurred on Monday evening, March 31st , at the age of 45 years. He was the only child of ex-Warden Cyrus Allison, J.P. and Mrs. Allison, with whom he and his family resided. By his death a household of three generations have been terribly bereaved, and the entire community has lost a popular and most estimable citizen. He married Miss Maggie Loyst, an estimable lady, who survives him with their two young daughters, yet mere children. The deceased was born in the front of Adolphustown, on the old Allison homestead. Some years ago, he moved with his parents to Parma, where he has lived ever since. He was a very intelligent and successful farmer, an excellent type of our best and most intelligent class of farmers, of which this county can boast. He was a man of most examplary habits, a life long abstainer from liquors and tobacco. His health was excellent until a few months ago, seldom seeing a days illness. A couple of months ago or less he consulted Dr. Vrooman in regard to a growing weakness, which he did not fancy represented anything very serious. The Doctor saw, however, that he was then in the incipient stages of a blood disease and his recovery was hardly possible. Since then all that medical skill and good family care could do seemed of no avail. He was a faithful member of the Centenary Methodist church, Adolphustown, a member of the choir and a hearty worker in everything that pertained to its success. Few men were more highly respected by all, and whose death was more generally deplored. The funeral took place at Adolphustown Methodist church on Thursday and was very largely attended. At Parma, South Fredericksburgh, on Monday, March 31st, Mr. John Roderick Allison, only son of Mr. Cyrus Allison, J.P., aged about 45 years. ALLISON - At Bethel, Prince Edward County, on Friday, June 11th, 1897, Mr. Joseph Allison, brother of Messrs. Benjamin and Henry Allison, aged 66 years. Allison - On Tuesday, March 24, 1936, at Adolphustown, Joseph Benjamin Allison, in his 97th year. OBITUARY - JOSEPH B. ALLISON - For the past four weeks, Mr. J. B. Allison, a prominent citizen of Adolphustown and a man widely known and highly esteemed throughout Lennox county, was gradually sinking and on Tuesday evening of last week, the end came. Deceased had attained the patriarchal age of ninety-six years and ten months. Joseph B. Allison was a son of the late Joseph B. Allison of P. of U.E. Loyalist stock, and is the last one of the large family of ten children. His wife, Martha M. Membery predeceased him fifty-five years ago. Two daughters and one son, also five grandchildren and three great-grandchildren survive. His children are Mrs. T. N. Davis of Dorland, with whom he has spent the last two years; Miss Edna Allison, R.N., of Honolulu, and Arthur Allison, who lives on the homestead. The funeral service was held in the U.E.L. United Church, Thursday afternoon last and was attended by a large number of friends, many of whom came from a distance to pay a last tribute of respect to their departed friend. Rev. G. Gardner conducted the services and the remains were place in the family mausoleum. Some time after leaving school, the late Mr. Allison entered the law office of W.H. Allison, K.C., Picton. Not liking the work, he decided to return to the farm. He was a consistent reformer and his public career was one of efficient service. He was Reeve of the township for several years; also magistrate and clerk of the Court. He was salesman for the U.E.L. Cheese Factory for twenty-nine years. In 1866 he married Martha M. Membery, a member of one of the oldest families in the township and for forty years lived on the farm where his son now resides. Deceased was a staunch member of the United Church. He was the last person living who attended the Old Hay Bay Church as a boy. A wave of sadness was cast over the community in the passing of Mr. J.B. Allison on Tuesday evening at the home of his daughter, Mrs. T.N. Davis, where he received every care that could ease his journey down the river. Mr. Allison has been a prominent man in Adolphustown. He was in the Municipal Council for years, salesman for the U.E.L. Butter and cheese factory for a long period, a member of the Trustee Board of the U.E.L. United church since its building, and always interested in all the organizations of the church. Had he lived until the 25th of May he would have celebrated his 97th birthday. Suddenly on Tuesday, 22nd inst., at his late residence, Adolphustown, of heart disease, Joseph Benjamin Allison, Esq., aged 78 years. ALLISON - At Adolphustown, on Friday, March 31st, 1916, Lena Allison. MISS MARY L. ALLISON - BATH - Miss Mary Laura Allison, 95, a former teacher at Bishop Strachan School in Toronto who died recently at the Bunclody Nursing Home, was interned in the Allison Mausoleum following cremation. She was born at Adolphustown, a daughter of the late David W. Allison and his wife, the former Amelia Membery, but had resided at RR 1 Bath for a number of years. A graduate of Queen’s University in 1902, Miss Allison taught at the exclusive Toronto school for several years. She retired 37 years ago. She attended St. Alban’s Church at Adolphustown. Surviving are several nieces and nephews including Mrs. Elizabeth Cunningham, Kingston; Harold Allison, RR 1 Bath, Mrs. Frances Mallory, Kingston, and Mrs. Miriam Graham of Belleville. Allison - Miss Mary Laura. At Bunclody Nursing Home, RR 3 Bath, on Wednesday, November 21, 1973, Mary Laura Allison, daughter of the late D.W. Allison and Amelia Membery, in her 96th year; dear aunt of Harold Allison, RR 1 Bath; Mrs. S.B. Cunningham (Elizabeth); and Mrs. Harold Mallory (Frances), Kingston. A memorial service was held at St. Alban's Church, Adolphustown on Saturday, November 24 at 2 p.m. Rev. Edward Carne officiated. Entombment in the Allison Mausoleum. Allison - Suddenly at Adolphustown on Friday, January 30, 1959, Raymond Joseph Allison, beloved husband of Frances Forester, and dear father of Harold, R.R. 1 Bath; Mrs. S.B. Cunningham (Elizabeth), Kingston, and Mrs. Harold Mallory (Frances), Kingston, in his 76th year. Resting at this late residence, Adolphustown, for funeral service at St. Alban's Anglican Church on Monday, February 2 at 10:30 a.m. Rev. J.G. Findlater officiating. Interment in the D.W. Allison Mausoleum. In lieu of flowers, donations to the Society of Crippled Children is respectfully requested. The sudden passing of Raymond J. Allison was heard with deep regret in Napanee and the surrounding district. The late Mr. Allison, a highly respected citizen, passed away at his home at Adolphustown, on Friday, January 30, 1959. A son of D.W. Allison, M.P. and Amelia Membery, he had spent his entire life at Adolphustown, where he operated a general store until his retirement in 1946. He attended St. Alban's Anglican Church. Mr. Allison, who was of United Empire Loyalist descent, displayed keen interest in baseball, hockey, soccer, and was a sailing and hunting enthusiast. Those surviving to mourn his passing are his wife, the former Frances Forester; a son, Harold A.F. Allison, of Adolphustown, and two daughters, Mrs. S.B. Cunningham (Elizabeth), of Kingston, and Mrs. Harold Mallory (Frances), of Kingston; as well as a sister, Miss Mary Allison, Napanee, and a brother, John B. Allison, Napanee. A brother, Dr. D.M. Allison, of Camden, New York, predeceased him in 1956. There are also five grandchildren, David and Diane Allison, and Arthur, Richard and James Cunningham. The funeral service was held on Monday morning, February 2, 1959 at 10:30 o'clock, at St. Alban's Anglican Church, Adolphustown and was conducted by Rev. J.G. Findlater. The honorary pall-bearers were Morley Galt, Jack Duffett, Herb Punchard, George Chalmers, Ross Allison and Gordon Lightfoot. Active pall-bearers were David Allison, Stanley Cunningham, Harold Mallory, Frank Mallory, Jack Roblin and Harold Grooms. Interment was in the D.W. Allison mausoleum, Adolphustown. Smith’s Falls, Sept 12 - Mrs. D. Allport, a resident of Smith’s Falls for over 40 years, died at her home here on Wednesday, after a long illness, at the age of 74 years. Before her marriage she was Marjory Honour Fuller, and was born at Kingston. She was one of the town’s oldest and most highly respected residents. Deceased, who was married 58 years ago, was the mother of 12 children, of whom there are four sons and one daughter surviving, namely: Fred Allport, Cobourg; Harry Allport, Hamilton; Messrs. Roy and Odey Allport of Smith’s Falls, and Mrs. E. Duncan of Kars, Ontario. Her husband also survives. All were present at the funeral. The late Mrs. Allport also leaves four brothers and two sisters, 29 grandchildren and 13 great-grandchildren. She was a Baptist, and funeral services will be conducted by Rev. H. Bryant of the Baptist Church. Interment is being made to the Public Cemetery, Smith’s Falls. James Douglas Alsop - James Douglas Alsop, of RR 1 Bath, Ont., died suddenly on Sunday, Feb 3, 1991, at Lennox and Addington county General Hospital. He was 65. Mr. Alsop was born in Yorkshire, ,England. he also lived in Montreal for some time before moving to the Kingston area, where he resided for 20 years. He worked with Ontario Hydro and then with the Canadian Corps of Commissionaires. He attended the United Church. In his spare time, he enjoyed fishing, golfing and reading. Mr. Alsop is survived by his wife Mary L. Hobson, his children, Mrs. Guy Belch (Brenda) of Napanee and Peggy Alsop of Kingston, and several brothers and sisters in England. He was predeceased by his parents, Edward Alsop and Teresa Spence, and one brother in England. The funeral was held on Wed, Feb. 6 at 11 a.m., with Rev. Norm Esdon officiating. Interment was at McDowall Cemetery, Sandhurst. The pallbearers were Stephen and Brian Belch, Ralph Baird, Tony McPherson, Frank Quackenbush and Grant Hobson. The Late Hiram Amey, Morven. The late Hiram Amey was born in Ernesttown, near where the station now is, on March 4th, 1820, and was one of a family of nine children, seven sons and two daughters. He was married in 1855 to Louisa Davey, and settled in the township of Camden, where they remained until about sixteen years ago, when they moved to Morven, where they have since resided. Mr. Amey has been widely and favorably known in the county surrounding. He has not been strong for some years, being troubled with asthma and lung disease, hence he was an easy subject for la grippe when it came around. His sickness lasted nearly six weeks, and during that time he had not been so hopeful and comfortable as during the last three or four days of his life. He passed peacefully and quickly away at nine o'clock on Feb. 20th, being almost seventy years of age. He leaves a wife and two adopted children to mourn. Mr. Amey was a Methodist. At Napanee, Jan. 17th, Eliza J. Amey, relict of the late Michael Amey, Ernesttown, aged 80 years. Member of a family whose name has been synonymous with Odessa and Kingston district since the coming of the United Empire Loyalists, J.S. Amey died recently at his home at RR 4 Odessa, after a short illness, at the age of 83. The Amey family history has been traced back to the early beginnings of the United States, in the New England States. They were of Dutch descent and formerly spelled their name "Emigh." Mr. Amey's farm was a Crown grant and has been in the Amey family for four generations. There were three farms granted to the Amey family, side-by-side, to three Amey brothers, J.S. Amey's farm is the last one to remain in the Amey name. The late John Solomon Amey was born at Odessa, a son of the late Thomas Ashton Amey, and his wife, the former Emma Jane Parrott, and had spent his entire life on the family farm. He had retired from active farming only about three years ago. His wife, Ella, died in September of this year and he had been unable to survive his great loss. Mr. Amey was a member of the Odessa United church and the Order of the Chosen Friend, and was a director of the Ernestown Rural Telephone Co. The funeral was held at the Jones Funeral Home in Odessa, with Rev. R. Speer in charge and interment was at Union Cemetery, Bath. Pall-bearers were Roy Hartman, Walter Snider, Joseph Rogers, Hershel Snider, Lester Hogle and Fraser Allen. Survivors are two sons, Charles a. Amey, of Toronto, and J. Ivan Amey, of Kingston, and a daughter, Mrs. Marie Kelsey, of Nanaimo, BC, and four grandchildren, Anne and Helen Kelsey, of Nanaimo, and Paul and Patricia Amey, Kingston. FOUND DEAD - On Monday, the 8th of December, Nicholas Amey, of Ernesttown, aged 70 years, was found dead in a field belonging to Mr. Clinton Forward. The deceased had been missing for about three weeks. At Ernesttown, on Dec 16th, Peter Amey, aged 91 years, 4 months and 26 days. He was a veteran of 1812-15. Peter Amey, widely known, died at Bath, aged about sixty years. Deceased had for a number of years kept the Bay View hotel in Bath, whither he had gone to reside for the benefit of his health. He was a son of the late Peter Amey, of Ernesttown, one of eight children, six sons and two daughters, most of whom survive him. The brothers are George, Ameritt, Hiram, Nicholas, Jesse and William, the daughters being Catharine, deceased, wife of Charles Fraser, Ernesttown, and Kate (Mrs. Badgley) at present living with her husband in Western Ontario. On Saturday, December 10th, at the Hotel Dieu, in Kingston, there passed away one of Napanee’s respected and successful business men in the person of Mr. C. A. Anderson. Mr. Anderson had been ailing for some time, but his condition was not considered serious until a day or two before his death. When medical assistance was called it was seen that the only opportunity lay in an operation.. The operation was therefore decided on; but Mr. Anderson failed to rally from its effects, and finally succumbed on Saturday, the 10th. Born in North Fredericksburgh, he early moved to Napanee, and entered the livery business. Then when the automobile began to take the place of the horse, he was one of the first to sense its possibilities and became the agent for the McLaughlin cars, and was considered one of the most successful distributors in Eastern Ontario. For thirty-three years he had lived in Napanee, and during that time had earned the esteem and respect of the whole community. The funeral was held from the home of his son, Harold Anderson, Dundas St., Mr. Terrill, of Grace Church, assisted by Rev. Dr. Shorey, of Trinity Church, officiating. The Masonic Order, of which Mr. Anderson had been a member for thirty years, turned out almost to the last member, and their service under the guidance of the Chaplain, was conducted over the grave in Riverside cemetery. There survive him, his wife, Mrs. Anderson, formerly Miss Houston, one son, Harold, and a sister, Miss Lucy Anderson all of Napanee. Those who were chosen to bear the remains to their last resting place were fellow business men and brother Masons, Messrs, F. L. VanLuven, A. MacGregor, J. W. Robinson, J. G. Daly, W. H. Boyle and W. H. Hunter. The funeral of the late Edward Clayton Anderson took place from his former home near Lonsdale, on Friday, July 24th. The services at the home were conducted by the Rev. M. Oliver, of Roblin, assisted by the Rev. Mr. Geen, of Belleville, Rev. Mr. Clarke of Shannonville, and the Rev. Dr. Smith, of Warkworth. The interment was at Riverview Cemetery, Napanee. The late Mr. Anderson was Deputy Master for the county of Hastings L.O.L. and the services at the grave were conducted by R.W. Bro Carl Deputy Grand Master of Eastern Ontario, and M.W. Bro. Geen, Past Grand Chaplain of British America. The largely attended funeral and the many beautiful floral tributes showed the high esteem in which the late Mr. Anderson was held in that community. The bearers were Albert James, William Frank Earl and Murney Whiteman, brothers-in-law of the deceased. The late Mr. Anderson was born in 1899. He is survived by his wife and one daughter, Margaret; his parents, Mr. and Mrs. Edward Anderson, of Lonsdale, his brother, William, of Warkworth; his two sisters, Mrs. Edgar, of Warkworth and Mrs. Scott of Sharp’s Corners. After a very short illness Edward Clayton Anderson passed away at the Belleville General Hospital Wednesday. Mr. Anderson was the son of Mr. and Mrs. E. F. Anderson, of Tyendinaga, being born in that township 32 years ago. He leaves to mourn a widow and his parents, who reside in Tyendinaga township. He was a member of the United Church. The funeral took place from his former residence, Belleville, on Friday afternoon. Services were conducted by the Rev. Oliver, of Roblin at both the home and the grave. Interment was in Riverview Cemetery at Napanee. The many floral tributes went to show the high esteem in which the deceased was held in the community. The funeral was largely attended by his many friends. The bearers were all brothers-in-law of the deceased, James, Albert, William, Frank, Earl and Murney Whiteman. Another member of one of the most long-lived families in the county passed away on Saturday, January 23rd, when Mrs. T. W. Anderson died at the age of over 97 years at the home of her son, George D. Anderson, of Hawley. The late Mrs. Anderson was formerly Eunice Parks, and was one of the fourteen children of the late David and Cynthia Parks. There are still surviving, three members of the family, all over 80 years of age, Archie Parks of Anderson, aged 83 years, George R. Parks, of Picton, aged 85 years and Mrs. Alida Fralick, Elmira, N.Y., aged 87 years. Two other sisters, Mrs. Campbell and Mrs. Chambers died at the age of 99 and 96 respectively. The late Mrs. Anderson was born in North Fredericksburgh where she married the late T. W. Anderson. For a short time they lived in North Fredericksburgh, later they went to Sydney, in Hastings, where they resided for a number of years, after which they returned to the farm, now operated by their son, George D. Anderson. All during her life, Mrs. Anderson was a member of the Methodist and United churches, and continued to give active service in the W. M. S. and Ladies’ Aid until within a short time of her death. She retained remarkable use of all her facilities throughout her long life and was confined to her bed for only six weeks before her death. She was predeceased by her husband in 1915, and is survived by her three sons, Perry, of Napanee, George D., of Hawley and Damon A. of Napanee. Her funeral was held on Monday afternoon. A short service was conducted at her son’s home and a public service was held at Hawley church. Interment followed at Riverside Cemetery, in Napanee. Napanee - Dec 5 - G. Harold Anderson, prominent Napanee business man and former representative of the Ford Motor Company died suddenly here today. Deceased was born in Township of North Fredericksburgh, but moved to Napanee when a child. He was well known throughout the district and of late had been conducting the Lennox Collecting Bureau. Surviving are his mother, his wife, who was formerly Miss Florence Warner, and one daughter, Doris. Napanee, Dec 5 - Harold Anderson of the firm of C. A. Anderson and Son, dropped dead this afternoon. Mr. Anderson was about 45 years of age. He leaves a wife and one daughter. At North Fredericksburgh, Jan. 14th, Hannah Anderson, aged 74 years. Death of a Veteran - Passed away after a brief illness. On Tuesday evening, J.P. Anderson passed peacefully away after only a few weeks' illness, aged seventy-eight years. Deceased was for a number of years treasurer for Fredericksburgh township and was highly respected. The funeral takes place today (Thursday) at two o'clock to the Western Methodist church where services will be held by Rev. D.O. Crossley, thence to Morven vault. In South Fredericksburgh, Jane Anderson, relict of the late James Anderson, aged 89 years. At Picton, Upper Canada, on the 16th June, at the residence of D. Barker, Esq., John Anderson, Esq., of Fredericksburgh, late of Ayreshire Scotland, aged 30 years; his remains were interred in the family cemetery of the late Abraham Barker, Esquire. John Anderson, born seventy-eight years ago in Adolphustown, of U.E. Loyalist stock, is dead, at Roslin. He was a devout member of the Church England, and stood high in the regard of all who knew him. Miss Lucy Jane Anderson, another of Napanee's oldest residents, passed away in her 91st year, on Friday, at her home, Thomas Street. Miss Anderson had been in failing health for the past year, but had been seriously ill for only the past two or three weeks. She was a daughter of the late Mr. and Mrs. John P. Anderson and was born in the Anderson district, but most of her life had been spent in Napanee. She was one of the oldest members of Grace Church and for many years she was a devoted worker in the Sunday School and the women's organizations. Until just a short time ago, she attended the church services regularly. She was the last member of her family and was predeceased by her sisters, the late Mrs. W.T. Gibbard, the late Mrs. J.F. Smith and her brothers, S.A. Anderson, Robert Anderson and Wilburn Anderson. Her funeral was held at her late home on Sunday afternoon and was conducted by Rev. Dr. A.J. Wilson of Toronto, who officiated in place of Rev. C.D. McLellan of Grace Ch. who was ill. The burial took place in Riverside Cemetery. In North Fredericksburgh, on July 17th, Mary A., wife of J.P. Anderson, aged 62 years. At Ameliasburgh, on the 19th day of June, Wm. Anderson, Senr. Deceased was born in the County of Monaghan, Ireland, on the 28th May, 1786, hence he was 83 years and 22 days old. He emigrated with his parents to New York at the early age of 6 years; came to Canada about the year 1800; was admitted a member of the Free and Accepted Masons at Ernestown on the 27th March, 1806, hence was a Mason 63 years and nearly three months; married July 1st, 1809 and settled in Ameliasburgh about the same time, where he and his partner lived and toiled together for over 57 years, when she died; did military duty at Kingston in the war with the United States in 1812, and afterwards held a commission in the Militia; joined the Methodist Church in 1824, and remained in connection till he died; was a Commissioner in the Court of Request for several years; raised a large family, and lived to see them grown up and every member respectably settled; finally full of years and full of the hope of immortality and eternal life, without pain and without a struggle he lay down and died. Let me die the death of the righteous and let my last end be like his. ANDREWS – At Napanee, on Monday Dec 20th, 1909, Mrs. Elizabeth Andrews, Sept. 17th 1824. Dec. 20th 1909. ANSLEY - On Friday, April 1, 1932, at the home of her daughter, Mrs. Ralph Langdon, 31 Abbott Avenue, Martha, widow of the late John W. Ansley, mother of Mrs. E. McFadden and Mrs. Grant Heels. Funeral Service Sunday evening April 13, at 9 p.m. Interment Elmvale Cemetery on Monday, April 4. The death occurred on Friday, April 1st, of Mrs. J. W. Ansley, widow of the late John W. Ansley, at the home of her daughter, Mrs. R. Langdon, 31 Abbott Avenue, Toronto. Deceased contracted a serious illness about a year ago, from which she never fully recovered, her last illness being of five months duration of which she was confined to her bed for three months. Mrs. Ansley whose maiden name was Miss Martha Tate, was the eldest daughter of the late Thomas Tate and Frances Blewett and was born at Centreville on October 25th, 1861. On January 25th, 1888, she was united in marriage to J.W. Ansley and lived in Newburgh till about thirty years ago when they moved to Barrie, Ontario. Since the death of her husband, eight years ago, on March 20th, she has made her home with her daughters. Deceased was a member of Collier Street Methodist Church, now the United Church, Barrie, was of a kind loving Christian character, always anxious to do what she could to help others, and her many friends will regret to hear of her sudden demise. Those left to mourn the loss of a loving mother are three daughters, Edith, wife of R. Langdon, B.A., of Toronto; Hazel, wife of E. E. McFadden, Divisional Supervisor of Car Service, C.N.R., Barrie; Mildred, wife of J. G. Heels, also an employee of the C.N.R. at Toronto; and eight grandchildren. A brother, Joseph Tate, of Selby, and a sister, Mrs. J. S. Galbraith, Vernon, B.C., also survive. A sister, Mrs. H.F. Bell, Moscow predeceased her last June and a brother, Robert Tate about seven years ago. The funeral service was held Sunday evening at which Rev. R. J. Fallos and Rev. G.E. Coulter, two friends of the family spoke of the Christian example set by a devoted mother. Interment took place in Elinvale on Monday, Rev. A. A. Wall, of Burton Avenue United Church, Barrie, taking the service. The many floral tributes testified to the high esteem in which deceased was held. The pall-bearers were her three sons-in-law and three nephews, Fred T. Bell, Moscow; Harold S. Galbraith, Vernon, B.C. ; and S.J. Ansley, Toronto. Mr. J. Tate, of Selby and Mrs. LeRoy Trulle of Bowmanville were among the relatives who attended the funeral. FRANCIS HENRY ARMITAGE – NAPANEE, April 28 – Francis Henry Armitage passed away on Thursday at his late residence, South Napanee, in his 82nd year. The late Mr. Armitage, who had been failing in health for some time was born in the Empey Hill district. He received his early education in Hastings County. Previous to coming to Napanee 25 years ago, the late Mr. Armitage was a farmer in Empey Hill district. He was a member of Trinity United Church and of the church board. Deceased is survived by his wife; one daughter, Mrs. Hudgins of Toronto; one son, Fred Armitage of Kingston; four grandchildren, Frank Armitage of the Ferry Bomber Command, Gloria Armitage and Robert and William Hudgins, Toronto. There are also three great-grandchildren, Lynda, Frank and Karen Armitage. The body is resting at the Tierney Funeral Home, Napanee, for service on Saturday at 2.30 p.m., with Rev. G. M. Chidley officiating. Interment will be made at Riverside Cemetery. Pall-bearers will be Frank, William and Robert Milling, Ralph and Ward Sexsmith and Guy Huyck. DIED At his house in St. Urban Street on the morning of the 16th instant, Hobert Armour, Esq., a merchant of this city for many years and Master of the Trinity House at Montreal aged 76 years. Mr. Armour was a native of Kilmarnock, Scotland, and has been a resident of Canada for 59 years. The death took place at her home at Roblin, of Marguerite, beloved wife of Mr. Fred Armstrong, on Thursday evening, April 14th. Her passing came as a great shock to her many friends for although she had not been in her usual health, her condition was not considered serious until two days before her passing. She contracted sore throat, which coupled with diabetes, soon took its toll. Nothing that medical skill or loving hands could do could stay the dread disease. Mrs. Armstrong, before her marriage was Marguerite Asselstine, daughter of Mr. Whiting Asselstine, of Napanee, formerly of Asselstine’s Hill. She was in her 32nd year and had a very bright cheerful disposition and was greatly beloved by all who knew her. Besides her sorrowing husband she leaves four small children, Harold 13, Muriel 11, Helen 9, and Vera, 6 years of age. She also leaves her father, one brother, William of Napanee, six sisters, Mr. J. F. Davidson of Winnipeg, Mrs. Schuyler French, of Odessa, Mrs. Percy Windover of Alberta; Mrs. Ernest Kerr of Selby, Ada and Anita, at home. The funeral service was held on Saturday afternoon at Roblin Church and was conducted by her pastor, Rev. Major, assisted by Rev. Oliver, the large attendance showing the esteem in which deceased was held. Interment took place at Riverside cemetery, at Napanee. Mary, wife of John Armstrong, Sophiasburgh, buried 3 Dec 1793. ROBLIN - The funeral of Mrs. John Armstrong was held in the Holiness Movement Church, Saturday afternoon and was largely attended. Mrs. Armstrong had resided at the home of her son, Perry Armstrong, West of Roblin, for some time. Rev. Mr. Winters of Madoc, former pastor of the Movement Church here, conducted the service, assisted by Rev. Mr. Sells and Rev. H. Berry. After the service the remains were taken to Napanee vault to await burial in the spring. Mrs. John P. Armstrong, one of Forest Mills’ best known older residents, passed away on Thursday, March 9th. She had been in poor health for some time, but failed very quickly since Christmas. Mrs. Armstrong was born in Selby, on June 4th, 1869. She was the daughter of Alfred and Aussi Wood. During her young life she helped in her father’s store and bake-shop in Selby. In 1890 she married John P. Armstrong and came with him to Forest Mills to his farm, where they lived until eighteen years ago when they retired and moved to Deseronto. Friends and neighbours regretted their leaving as they had always been great workers in the community and ready to lend a helping hand whenever needed. Mr. Armstrong passed on three years ago, December 19, 1935. Since that time Mrs. Armstrong spent most of her time with her two sons in Forest Mills. She leaves to mourn her loss, two daughters, Olive (Mrs. L. Campbell) of Toronto, Mabel (Mrs. William Anderson of Detroit), and two sons, Fred and Perry of Forest Mills; also two sisters, Alma of Selby, Lily (Mrs. Dorland McCutcheon) of Selby; four brothers, John and Allan of Selby, Fred of Utica and Truman, late of Utica, N.Y. She also leaves thirteen grandchildren and two great-grandchildren. The remains were place in Napanee vault until spring when she will be buried in Riverview Cemetery. The late Miss Sarah Armstrong, who passed away on Sunday morning, the 12th inst., was one of the oldest residents of the town. She was in her seventy-seventh year. She was born in the county Roscommon, Ireland, in 1819, and was the last surviving member of a family of seven. Her father, Alexander Armstrong, was foreman of a large carriage factory, owned by Lord Lorton, of that place, which position he filled until the time of his demise. After her father's death, in 1837, the family moved to this county, and purchased a farm on the south side of the river, where they resided for a number of years. After her mother's death, in 1852, she, with her youngest sister, Eliza, moved to Deseronto, where they kept house for their brother, Francis, who carried on a wholesale business there. In 1862, her brother died, and Sarah returned to Napanee where she has resided with her nephews and nieces up to the hour of her death. She was a consistent member of the English church, and was highly respected by all who knew her. On the 5th inst., Eliza, daughter of Launcelot Armstrong, of North Fredericksburgh, aged 26 years. MRS. THOMAS ARMSTRONG – One of Bath’s oldest and most respected residents, passed peacefully away on Thursday, 1st June. She retired in her usual health the night before, and when her daughter went to call her to breakfast, about eight o’clock in the morning, she found her cold in death. There had been no struggle, for her daughter looked in a little earlier and thought she was sleeping. The deceased lady was in her eighty-third year, a gentle and kindly person, beloved by all who had the pleasure of her acquaintance. She was the widow of the late Thomas Armstrong, of the well known firm of Belfour & Armstrong, who carried on business in Bath for over forty years. Her husband predeceased her about twenty-five years. A family of seven daughters and one son are left to mourn a kind and loving mother. The daughters are Mrs. R. H. Hawley, Adolphustown; Mrs. Kiteredge, who resided with her mother and so tenderly cared for her during her declining years; Mrs. T. C. Fraser, Hay Bay; Mrs. A.H. Huffman, Manitoba; Mrs. T. F. Ruttan, Napanee; Miss Josephine, Spokane, Wash.; George, Chicago; and Mrs. A.M. Ferguson, Winnipeg. The bereaved family have the sympathy of a very large circle of friends. Mrs. Armstrong had been a life-long resident of Bath, and both she and her family are widely known and highly respected. NAPANEE, Mar 14 - The township of Richmond, particularly the Roblin district, lost an old and very highly respected resident on Wednesday noon in the person of Mrs. Charles W. Arnold, who had reached the fine old age of 84 years and some months. A daughter of Mr. and Mrs. Daniel Harten, the deceased was born at Westplain and had been a resident of the township all her life. A few days ago Mrs. Arnold sustained a fall resulting in a fractured hip and her condition since that time had been rather serious owing to her advanced age. On Jan 1 Mr. and Mrs. Arnold achieved a notable event when they observed their 68th wedding anniversary and the event was of a joyous nature and was marked by a reunion of the family. Throughout her life Mrs. Arnold had taken a great interest in the better things of life and was a zealous worker in the Methodist (now United) Church until advancing years caused her retirement. She was exceptionally well known throughout the Roblin and Westplain districts and leaves a wide circle of friends. Mr. and Mrs. Arnold loved home life and were very devoted to their family and the former has suffered a sore bereavement in the death of his life partner. Mr. and Mrs. Arnold were united in marriage on Jan. 1 in the year of Confederation, 1867, and the officiating minister was Rev. John Clarke. Six children were born to Mr. and Mrs. Arnold, a daughter having predeceased them. Besides Mr. Arnold there are one son and four daughters, George Arnold, Mrs. James McFarlane, Mrs. Walter Doidge, Mrs. W. J. Ramsay and Mrs. Kenneth Weese. The funeral service is to be held from the family residence to the Roblin United Church on Friday afternoon. DIED - In Ernestown, at the residence of her father, Mr. Alfred Bicknell, February 7th, 1864, after several months' illness, which she bore with great Christian fortitude, Elizabeth, relict of the late Rev. James Ash, Wesleyan Minister aged 27 years. Most truly her end was peace. The funeral took place the Wednesday following, the Rev. Wm. H. Pool, of Newburgh, giving a most appropriate and affecting discourse on the occasion. DIED - At Hallowell, on Friday the 25th ult., after a lingering illness of several months, Mr. Henry Ashley, Keeper of the District Gaol, aged 31 years. ASSELSTINE - At Hawley on Friday, 23rd of September 1898, Bena May Asselstine, dearly beloved daughter of Herbert and Williamena Asselstine aged 7 years 2 months and 12 days. ASSELSTINE, Mrs. Catherine, wife of George Asselstine, daughter of Elisha and Charlotte Shory, niece of R. Shory, died at Fredericksburgh May 22 1844, in her 39th year, survived by her husband and 3 children, also her parents, one brother and one sister. The funeral of Mr. Charles H. Asselstine, who passed away at his home in Hawley, on Wednesday, was held at the family residence on Friday afternoon, May 3rd, and despite the inclemency of the weather, was largely attended. Mr. Asselstine was for many years a prominent and well known farmer residing at Hawley, and his illness had been of long duration. During the many years that he was in ill health he consulted many prominent physicians at home and abroad, but they were unsuccessful in restoring his health. The deceased was probably as well known in Napanee as in the district in which he resided, and his many friends will regret to learn of his death. Surviving are his widow and one son; also two brothers, and a sister, Mr. Herbert Asselstine, proprietor of the Campbell House, Napanee; Mr. Fred G. Asselstine, Kent, Wash., and Mrs. Stewart Weese, Bath. The late Cyril J. Asselstine was born on the old Asselstine homestead, North Fredericksburgh Jan. 11th, 1818; married and settled in the township of Camden in 1842; removed to the township of Sheffield in 1850; sold out his property in 1870 and invested the proceeds so as to secure a competence for the rest of his days, and spent the rest of his days mostly among his children. He always took a keen interest in all religions, moral and political questions, but it was during his residence in Sheffield that he saw his most active political service, being a magistrate and for a number of years a member of the township and county councils. During this time he fought a number of hotly contested battles in the key ward of the township, the political complexion of the council depending on his success or failure - fought them not only at the polls, but sometimes in the law courts. In those days of fire, whiskey and open voting it was altogether too common for respectable voters to be mobbed and driven from the polls. Although fearless and determined he was not the man to use or encourage the use of violence to win his point; in all such cases he acted the part of a peace-maker, and was so well respected even by opponents that it was very rarely indeed that any one sought to do him bodily harm. On one occasion, however, while talking to another man, a rowdy from behind tried to reach his head with a chunk of lead at the end of a whip stalk. He was fortunate enough to save his head, but carried on his shoulder for awhile the effects of the blow which, if it had reached its mark, might have resulted seriously. For over half a century he was a consistent member and liberal supporter of the Methodist church. He died as he lived in full enjoyment of the christian's hope. During his last illness he often expressed himself as willing to suffer on, but desiring rather to depart and be with Christ, which was far better. Of his six children five survive. His body was laid to rest beside that of his first wife in Violet cemetery, having been brought from the residence of this daughter in Watertown. Mr. and Mrs. S.N. Asselstine, Hawley, on Christmas day, consigned to the tomb all that was mortal of their daughter, Flossie Blanche Asselstine. Her death took place on Monday at the age of eleven years. Asselstine - At Sillsville, Ont., on Tuesday, Sept 11th, 1923, Frederick Edward Asselstine, aged 52 years and 6 months. Mr. George Asselstine - Mr. George Asselstine, one of the well known and highly respected farmers of South Fredericksburgh, died quite suddenly at his residence, near Hamburgh, on Sunday evening last. He was in apparent good health on Saturday and at work, as usual, on his farm. About noon he was taken sick and four hours later he became unconscious. Medical aid was soon present but all was of no avail. Shortly after midnight he was dead. He was in the sixty-fifth year of his age. He was the son of George Asselstine, one of the pioneer farmers of that section. The deceased was born and spent all his days on the same farm. He was a man of great industry and intelligence and highly respected by all who knew him. He was a consistent member of the Methodist church from his early boyhood and a class leader for nearly twenty years. In politics he was a Liberal, but never took a prominent part in public affairs. He was township treasurer for a number of years, and in that and every other business position inspired all who came in contact with him with full confidence in his integrity and uprightness. Mr. Asselstine was twice married. His first wife was Ruth, daughter of the late John W. Bristol, who died in Napanee a few years ago. Afterwards he married Miss Ann Finkle, sister of Rowland R. Finkle, Esq., of Bath, who survives him with their three sons. They are Frederick, merchant of Moorhead, Minnesota; Charles, who resides on the family homestead, and Herbert who lives a few lots east. He was a brother-in-law to our townsmen, Peter Bristol, Esq, of Piety Hill and George Cliff, sr. He was an excellent type of the intelligent and successful farmers of which this county can well boast. The funeral took place on Wednesday in the Bethel Methodist church, at Hawley, of which he was one of the leading supporters, and the burial at the Morven cemetery. Hamburg mourns the loss of one of its oldest and most respected residents, in the person of Mr. George Asselstine, who departed this life on the night of the 15th inst. His funeral sermon was preached in Bethel church here. He leaves a wife and three sons to mourn his departure. He was around all day Saturday and his death was unexpected, which makes the circumstances more sad. His end was peace. Yesterday, Mr. Henry Asselstine, aged 86 years, died at the residence of Mr. Peter Asselstine, corner of Johnson and Division streets. Deceased had been ill for some time, and for the last three or four months had been helpless. He was born in Ernesttown in 1800, and resided in the city for 58 years. He was father of twelve children some eight of whom survive him, sixty seven grandchildren and twenty-five great grand children. The sons residing in this city are Messrs. John, Peter, Isaac and Benjamin Asselstine. Three sons are residing in the States, and the daughter, Mrs. G.W. Abrams, in Manitoba. OBITUARY - Maurice H. Asselstine died in Minneapolis, Minn., on Tuesday morning, November 3d. He was the third son of Samuel N. Asselstine of Hawley. Being of a sunny disposition, he was a favorite with all who knew him. He was a good dutiful son and a loving brother. His life was full of promise, being in his twentieth year, and a splendid type of young manhood. This dear boy came to his death under particularly sad circumstances, his death being caused by an accident in an elevator in the city where he died. The Wide Awake Circle and the Hawley Football Association, to which he belonged, each sent beautiful floral offerings, besides many other floral offerings from friends. Besides his parents he leaves three sisters, Mrs. Elgin Ungar, of Minneapolis, Minn., Miss Elizabeth Asselstine, of Chicago, Ill., and Adah, and two brothers, Tillison and Isaac Asselstine at home. The funeral service was conducted by Rev. Mr. DeMille, at the Hawley Bethel church, in the absence of their pastor. KILLED IN MINNEAPOLIS - Sad indeed was the news received here Tuesday morning announcing the death of Maurice H. Asselstine, son of Mr. Samuel N. Asselstine, South Fredericksburgh. Deceased, who was in his 20th year, had been employed in Minneapolis, Minn., in a hardware store running an elevator. On Saturday evening he stepped out of the elevator, and as he did so the elevator shot upwards. He attempted to get inside again, but unfortunately was caught between the door and the upper floor. He was seriously injured and died on Tuesday morning. The funeral will take place from his father's residence this Friday afternoon at one o'clock. Service will be held at Bethel church, thence to Morven vault. The sorrowing family have the sympathy of a large circle of friends in their sad bereavement. The community suffered a great loss in the death of Mr. Michael Asselstine, the veteran woolen manufacturer, of Odessa, who passed away at his home, on July 12th, in his 82nd year. Mr. Asselstine was born just across the road from his late home and spent his entire life in the community. He was united in marriage with Jennie Chatterson, in 1868, and with her led a very industrious and devoted life until her death in 1923. His was a pioneer mill, the business having been established in 1810. It has remained in the family ever since. He personally owned and operated the mill for over sixty years. It was not until two years ago that he was compelled by failing health to give up the work and thus the wheels of the oldest woollen mill in Canada ceased to turn. Mr. Asselstine was a man of the strictest integrity in his business and was always proud of the fact that not a pound of shoddy had ever entered his mill. He was a regular attendant of the Methodist Church, of which he was a faithful member and generous supporter. He has left to mourn his loss two daughters, Frances, of the old home, and Mrs. J.M. Shaver, of Winnipeg; an aged mother who lately celebrated her 103rd birthday; two sisters, Mrs. Emma Powley, of Orillia, and Miss Kate Asselstine, of Kingston, and a brother, Henry, of Toronto. The largely attended funeral service was conducted by Rev. G. McQuade, of Odessa United Church. Mr. McQuade spoke feelingly of the influence of the man into whose business not a pound of shoddy had ever entered, and whose life had measured up to the same standard. Many and beautiful were the floral tributes offered by sorrowing neighbors and friends. ASSELSTINE - At Roblin, on Thursday April 28th, 1910, Peter Asselstine, aged 84 years. At South Fredericksburgh, Robert N. Asselstine, aged 21 years. ASSELSTINE, Mrs. Ruth B., daughter of John W. Bristol of Fredericksburgh Twp, wife of George Asselstine Jr. of the same township whom she married Jan 1 1857, died Mar 2 1858 in her 22nd year. In September 1855 she had gone to the Ont. Seminary at Cobourg. The death of Wm. C. Asselstine in his 89th year, removes the youngest and last surviving member of a U.E. Loyalist family. His father, Isaac Asselstine, for loyalty to the British Crown, received a grant of land in the Township of King, not very far from Toronto, this he sold and bought land from the government at the head of Hay Bay, in the Township of South Fredericksburgh. Although of Dutch parentage and using the Dutch language and Dutch Bible in the family during the early part of their residence in this country, like many more of the same nationality, he left his home in the land of the free to enjoy the security and liberty that is always found where the British flag is unfurled The original purchase was added to till the family owned a valuable estate. This property has remained in the family for more than a century and is now occupied by the fourth generation of the same name. The family of five sons and two daughters all settled and prospered in this county. Several of them located near Moscow and Wm. C. set down his stakes in the corner of Camden, at what is known as Asselstines Hill, where he spent many years of activity making for himself a comfortable and hospitable home, and accumulating a nice property. When the burden of years forced him to resign his active business life, he retired to the town of Napanee to enjoy the fruits of his toil, where he was carefully cared for by his daughter Delia. His family are all worthy and respected, members of society. Whitney on the homestead; Oscar at Marlbank, Wm. in Manito bay; Mrs. Weese at Centreville, Mrs. Clark in Picton, and Delia in Napanee. Honest, industrious, contented and for many years a member of the Methodist church, he passed away peacefully and without any fears. Asselstine - At Sillsville, on Sunday, April 13th, 1913, William J. Asselstine, aged 52 years, 3 months and 3 days. Obituary - Catharine Bristol Aylesworth - wife of John Bell Aylesworth, Esq., of Newburgh, died at her home, Friday morning, 19th Nov.,1897. She was the daughter of the late John W. Bristol, and was born in south Fredericksburgh on the 4th day of July 1831. The date of her marriage was Christmas Day, 1853. Her death was caused by valvular heart disease. Two sons, A. B. Aylesworth, Q.C., of Toronto, and George Anson Aylesworth, of Newburgh, and one daughter, Emma Bell, wife of Stanley G. Chant, of the same place, together with a wide circle of relatives and acquaintances, cherish the memory of her patient, loving gentleness. To them the remembrance of her self-forgetful motherly goodness, remains a revealed religion. AYLESWORTH – At Hotel Dieu Hospital, Kingston, on Friday October 8th, 1909, Jehiel Aylesworth, aged 72 years. Death of Jehiel Aylesworth – Another of Napanee’s old landmarks has passed away in the person of Jehiel Aylesworth. Forty-seven years ago he commenced business in our town as a grocer and soon won his way to the hearts of his customers, by his fair dealing and his bright and cheerful manner. Several years later, he embarked in the wholesale trade which he continued under his personal superintendence until stricken down by his last illness. For several years, Mr. Aylsworth sat at the council Board and in 1891, was chosen as Chief Magistrate of the town, a position which he filled with great credit to himself and with general satisfaction to the whole community. He was both a progressive and aggressive man. He looked far ahead and endeavoured in all his public acts to build well for the future, and when he once outlined a plan of action he had the courage of his convictions and hesitated not to express his views regardless of the favour they might find with his audience. He was satisfied to wait until time demonstrated the correctness of those views. During the last few months of his life he suffered intense agony, but bore it with a patience and fortitude so strongly characteristic of his whole life, until death came to his relief on the 7th inst. The funeral took place from his late residence to St. Mary Magdalene church on Sunday afternoon when the service was conducted by the Rev. Mr. Dibb. The Masonic Order testified to the high esteem in which he was held by them, by turning out in large numbers to pay their last tribute of respect to his memory. At the request of the deceased his brethren of Union Lodge performed their beautiful ceremony over his grave. In the passing of Jehiel Aylsworth, Napanee loses one of the few remaining citizens of the old school who have done so much to mould the destinies of our town. There were no railways, but many forest trees in Upper Canada, when John Bell Aylesworth began to breathe; he lived till there were perhaps too many railways, and certainly too few trees. Near the centre of Ernesttown Township, on the 10th of January, 1828, he was born the second son of Ann MacGillivray and Job Aylesworth. There were no telegraphs then; and but few Doctors; no postage stamps; no envelopes, even; letter-sheets were folded so as to leave space for the address; the folds were sealed with wafers. The amount of the postage depended upon the distance the letter was to go. Wolves howled through the woods; bears were the bandits that plundered the settlers. Mr. Aylesworth’s mind was rich with oft told tales of his boyhood, and of the Rebellion of 1837. In 1843, he first saw Newburgh. Part of his “schooling” he received in Newburgh Academy when the late Rev. Dr. S. S. Nelles was Headmaster. Mr. Aylesworth was the first Assessor of the Municipal Corporation of Newburgh (1859). Afterward, during many years he served the same community as Municipal Clerk, Councillor, Reeve, and member of the Academy Board of Education. His hard-working farmer-father’s stay-at-home son was “John”; he had three brothers and three sisters, all of whom he out-lived. For more than fifty years he was Secretary Treasurer of Camden Township Agricultural Fair; and throughout the greater part of the same long period Secretary Treasurer of Addington County Agricultural Society also. 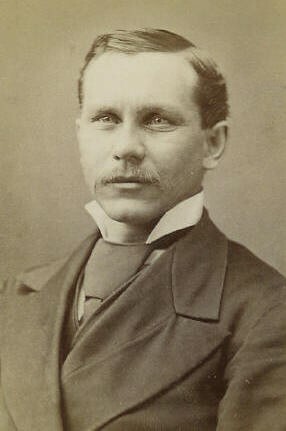 For twelve years and upwards he was elected one of the Directors of the Provincial Exhibition; and in 1881 President of the Ontario Agricultural and Arts Association. He was appointed a member of the Ontario Agricultural commission of 1882. In that year the Liberal Party of Addington in convention nominated him, in his absence, as their candidate for the Dominion Parliament. One might almost say he was an hereditary Methodist, and Temperance man. For more than seventy years he was an official of the Methodist Church. The last vote he gave was for the Ontario Temperance Act; one of his sons carried him up the steep stairs of the polling place, when, in April, 1921, he registered his vote, being in his 94th year. He was a member of the Grand Division Sons of Temperance; and of the Independent Order of Good Templars; also an officer of the Dominion Grange; and County President of the Patrons of industry; as also of the Farmer’s Institute; and of the Lennox and Addington Farmers’ Mutual Fire Insurance Company. All his long life a farmer, his was the great joy of taking pride in his employment and of deriving satisfaction there-from. He ploughed very many furrows; and he always took pains to plough them straight. In 1858, he married Catharine, daughter of John Wesley Bristol, of Lennox County. She died in 1897. Their children are: - Sir Allen, of Toronto; George Anson, of Newburgh, and Emma Bell, wife of S. G. Chant, of Durham County. In 1899, the subject of this sketch married Bertha, daughter of Peter Bristol of Napanee. She survives him. 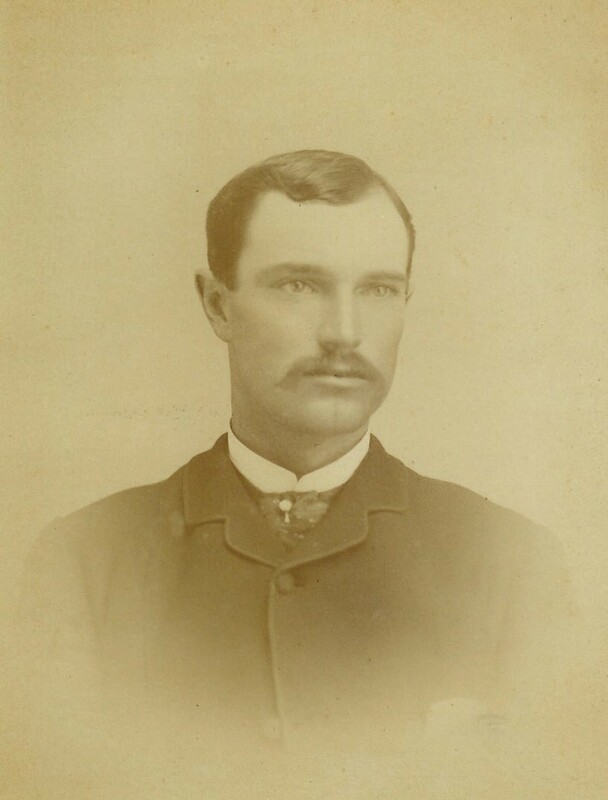 IN MEMORIAM - John Sidney Aylesworth was born May 21st, 1846, on a farm one mile from Odessa, being the youngest son in a family of eleven children. Their parents were of U. E. Loyalist descent, being Robert Aylesworth and Hannah Fraser. John received his early education at Odessa Academy, and was a clever student. At the age of twenty he attended the School of Military Instruction, Kingston, receiving his certificates in 1866. He recruited a company in that year to assist in quelling the Fenian Raid. For this he was granted script for 166 acres in New Ontario, but he failed to claim the land. His great life work, and the one he was most fitted for, was that of Civil engineering. He qualified in Toronto and joined the Ontario land Surveyors’ Association on January 7th, 1871, and for forty-six years he worked as such. He was Drainage Engineer for some three or four townships in Lennox at different times and did a great deal of private work. No one came to him for help or advice that it was not given freely. He was a Liberal in politics, and a Methodist in religion. A strong, quiet, able man, who will be greatly missed in the home and community. His brothers, sisters and wife predeceased him by several years. There are left to mourn his loss, two daughters, Mrs. Schuyler Windover, Kingston, and Mrs. J. W. Humphrey, at home. Also one grandchild, Mrs. Kenneth Brebner, Newark, New Jersey. He fell asleep on January 17th, 1928 and his funeral services were held from his late residence in Richmond, to Selby United church, the Rev. Mr. Batstone officiating. * see Purvis, Lina S.
OBITUARY - MRS. WM. AYLSWORTH - one of the oldest and most respected inhabitants of Bath passed peacefully away on Sunday, March 2d after an illness of about two weeks. Her maiden name was Deborah Parks. She was born in Kingston April 22d 1815. Her husband, who is two years her senior, and who was quite ill at the same time, still survives her, this being the 60th year of their married life. Her children are Lester Aylsworth, Bath; Mrs. White, Fredericksburgh, and Mrs. Purvis, Lyn. She has three sisters living, viz., Mrs. Snider, Kingston; Mrs. Redpath, Watertown; and Mrs. Brown, Petworth. She was converted to God 65 years ago, on the old Ebenezer campground, and has lived an earnest Christian life ever since that time, as all of her neighbors and friends can testify, and many who read this may remember having enjoyed her hospitality. The funeral took place on Tuesday afternoon, March 4th, at her late residence, and was well attended. Eleanor Victoria Aylsworth died at Lennox and Addington County General Hospital on Feb 7, 1992 at the age of 93. Born in Ernestown Township, Miss Aylsworth was the daughter of David Aylsworth and Elizabeth Fraser. She was a retired public school teacher, attended Trinity United Church, was a member of the Rebeccah’s Lodge and was a member of the Super Annuated Teachers’ organization. Miss Aylsworth is survived by a sister, Leah Stevenson of Thornhill and a brother, Alan Aylsworth of St. Thomas. The funeral service was held at the Wartman Funeral Chapel with Rev. Phil Hobbs officiating. Pallbearers were David Aylsworth, Alan Aylsworth, Richard Aylsworth, Ted Loucks, Rickie Loucks, Bob Jamieson and John Barr. Interment took place at Riverside Cemetery in Napanee. AYLSWORTH, Mrs. Hannah Almira, the third daughter of Nathan Brisco, a United Empire Loyalist and wife of John Aylsworth, was converted in 1829 on the Waterloo Circuit and died in Fredericksburgh Nov 12 1841 in her 31st year, survived by her aged parents, husband and 6 children. The Late Job Aylsworth, Newburg. Job Aylsworth, father of the Reeve of Deseronto, died at his residence in Newburgh, on Tuesday in his 89th year. The deceased, who was universally respected, was born in the township of Ernesttown. He remembered when the only mill in this district was at Kingston, and he saw the first mill built in the woods at what is now the town of Napanee. He recollected when the mail was carried on horseback from Montreal to Little York by a path through the woods. In his long life-time he witnessed great changes in all this part of Ontario. The funeral took place on Tuesday to the family burying ground at Violet. Died at his residence, Bath, on Friday, April 20th , aged 93 years. He was born in Ernesttown in 1813, and retained all his faculties until about six weeks before his death. At that time, his mind and body began slowly to fail, and he passed away very peacefully. In his long life, he was enabled to see the unimportance of everything of an earthly nature, and was willing in his old age to trust in God for strength and comfort. He was one of the old veterans who served in the rebellion of 1837. His wife died four years ago. He leaves one son, Lester Aylesworth, Bath, and two daughters, Mrs. White, Sillsville, and Mrs. Purvis, Bath. The funeral service was conducted at his late residence, on Sunday morning, in the presence of a large number of friends, showing the respect in which deceased was held. AYRHART - At Hay Bay, on the 14th inst., of diphtheria, son of Mr. Ayrhart, aged 7 years.